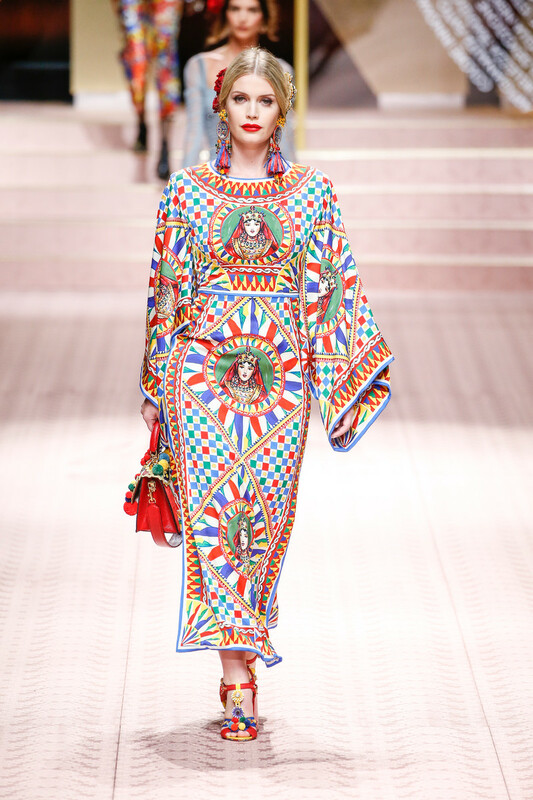 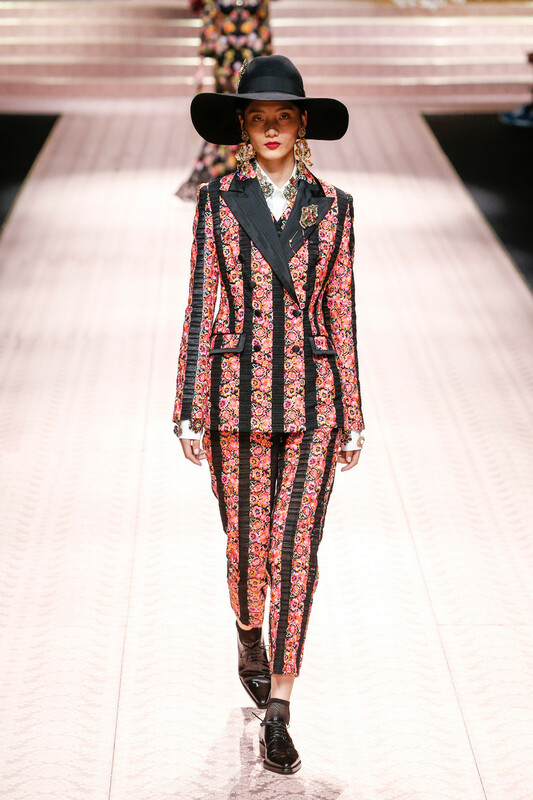 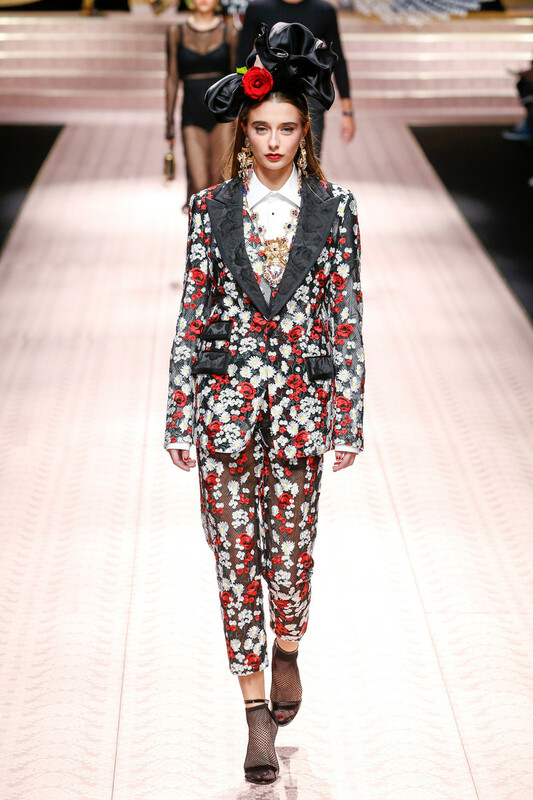 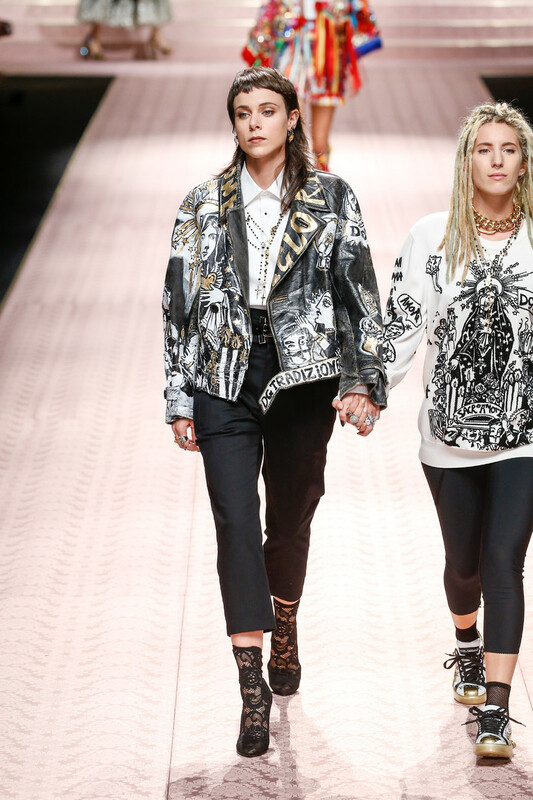 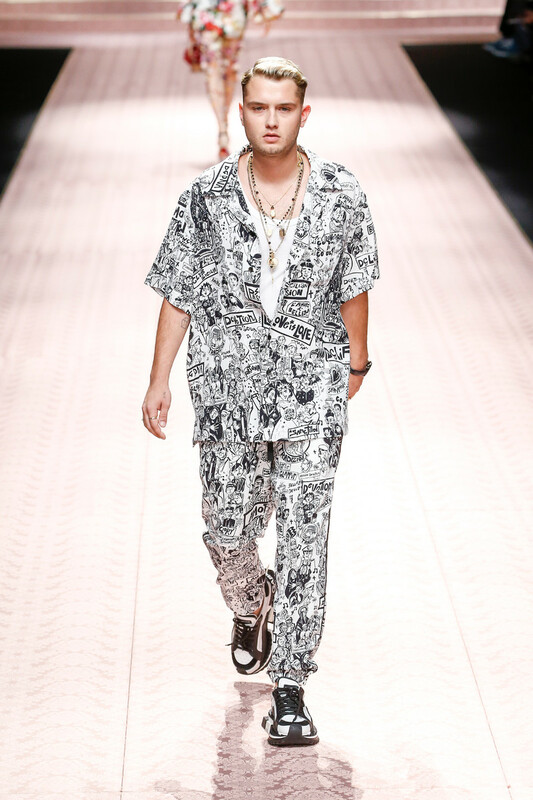 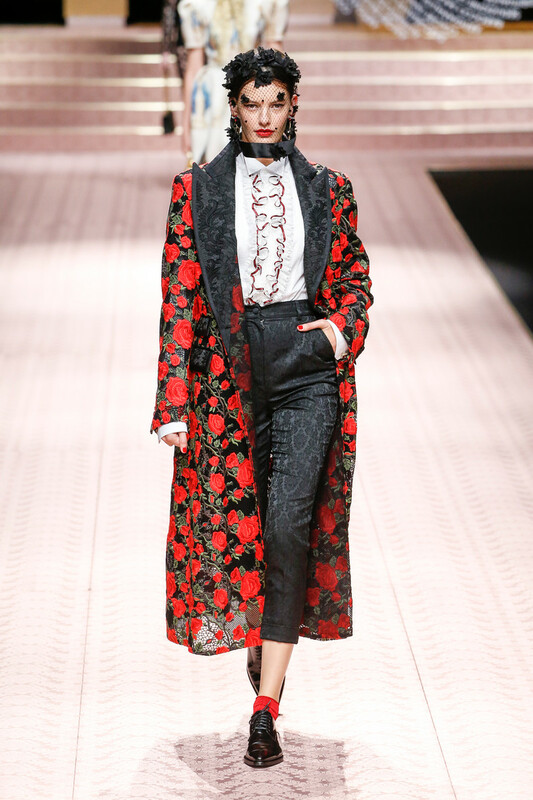 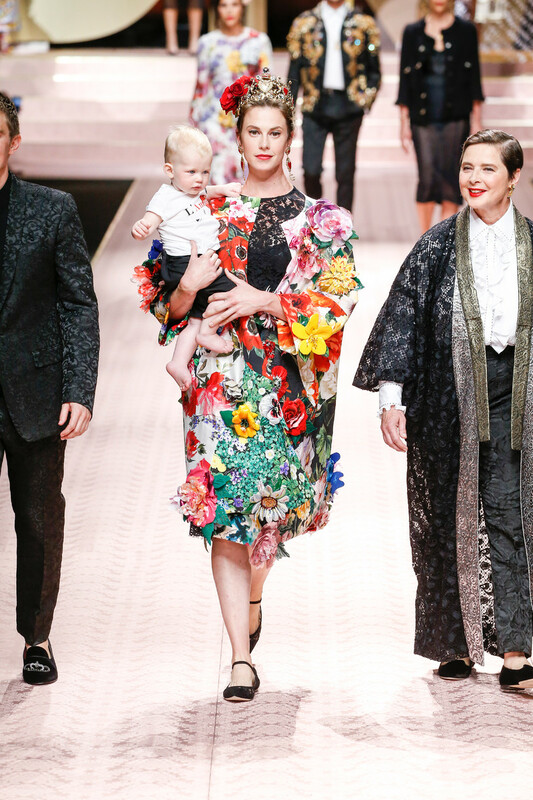 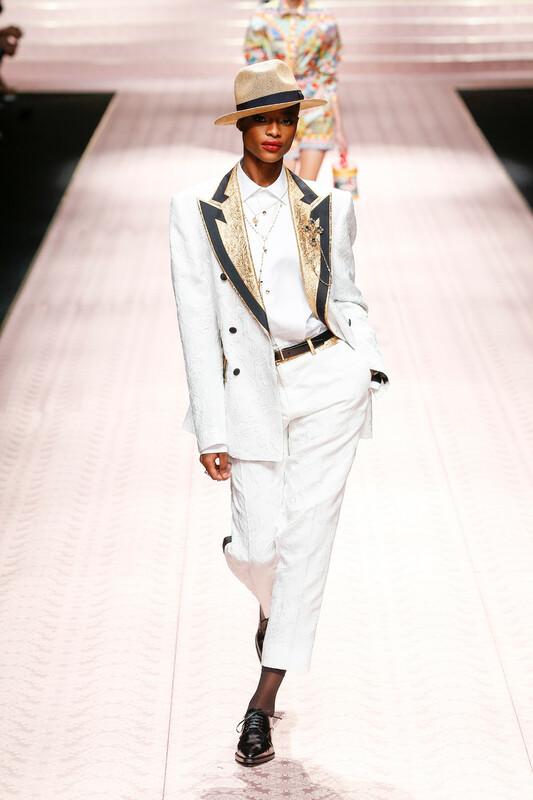 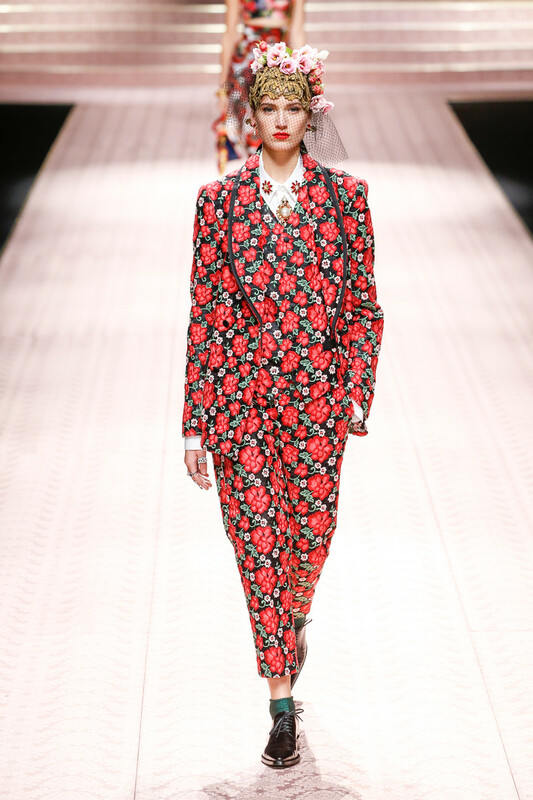 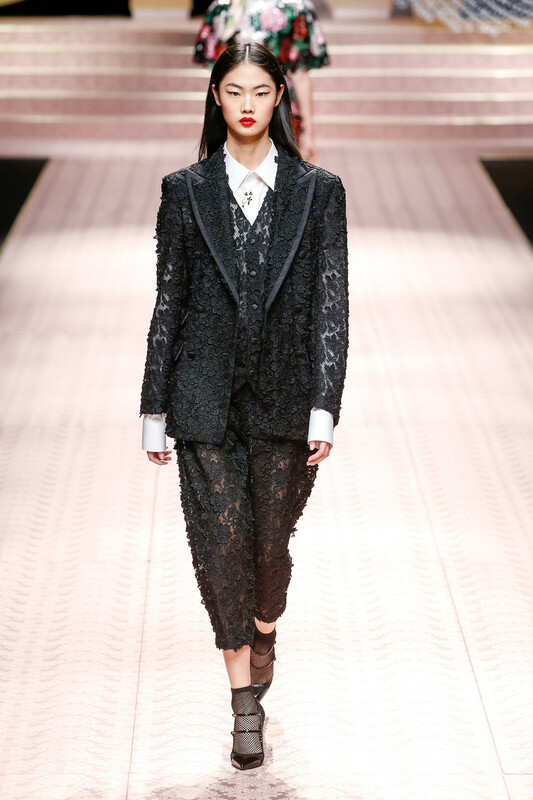 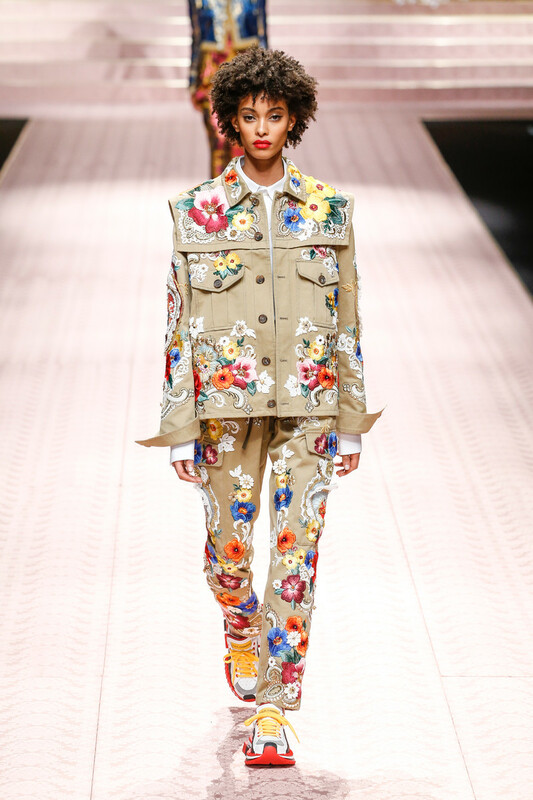 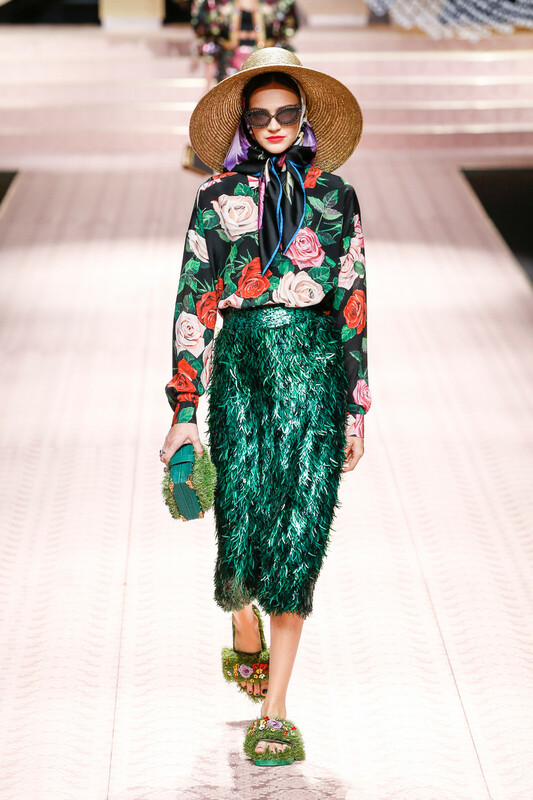 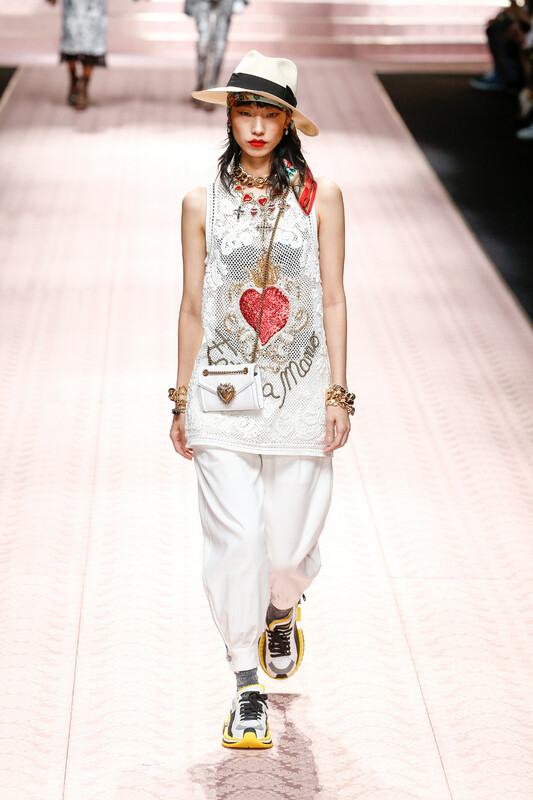 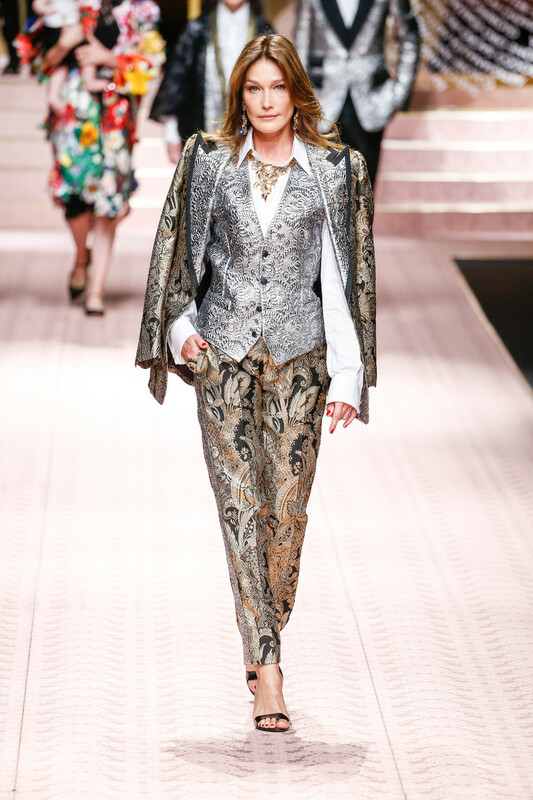 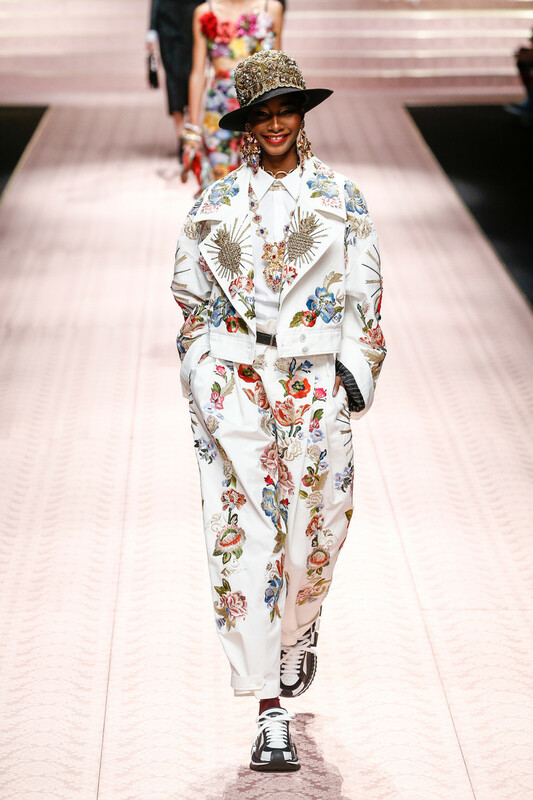 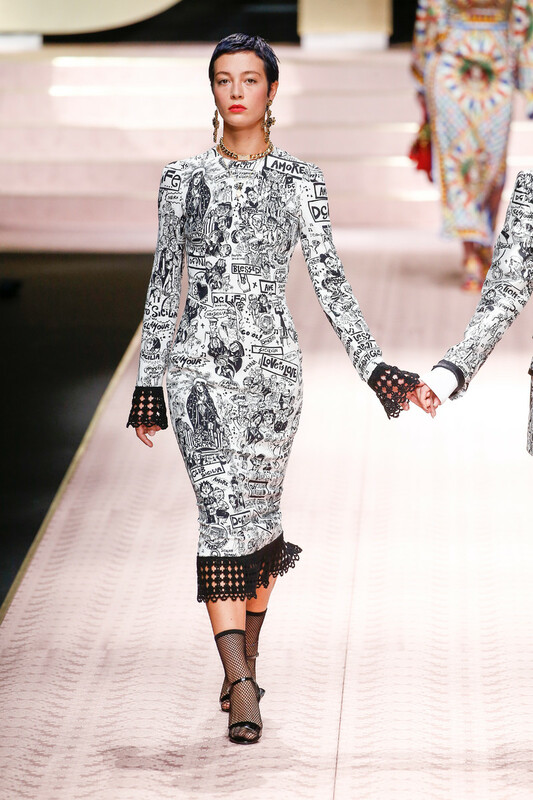 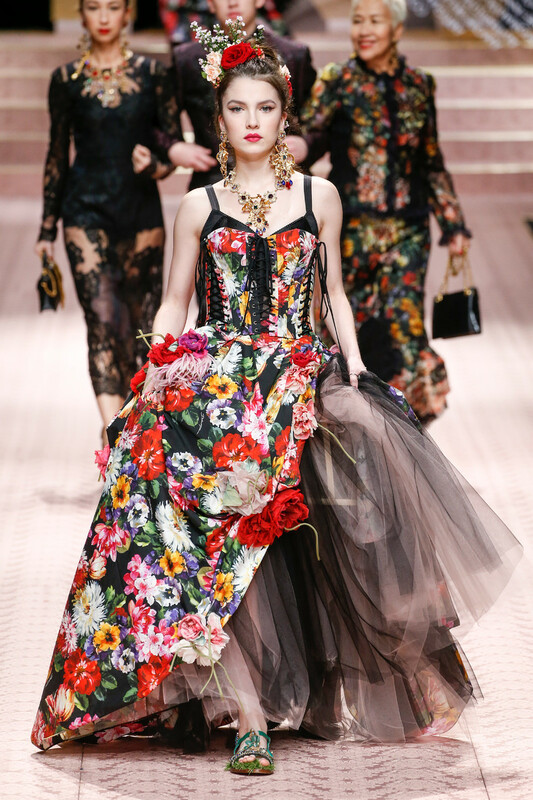 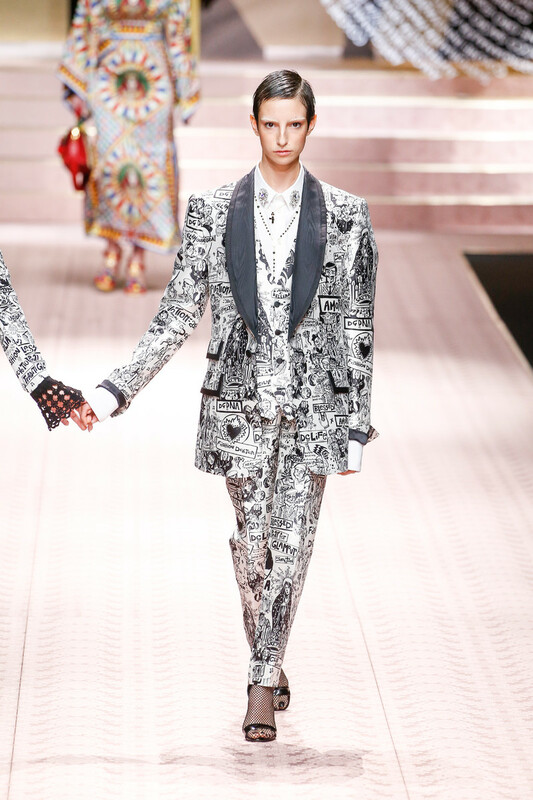 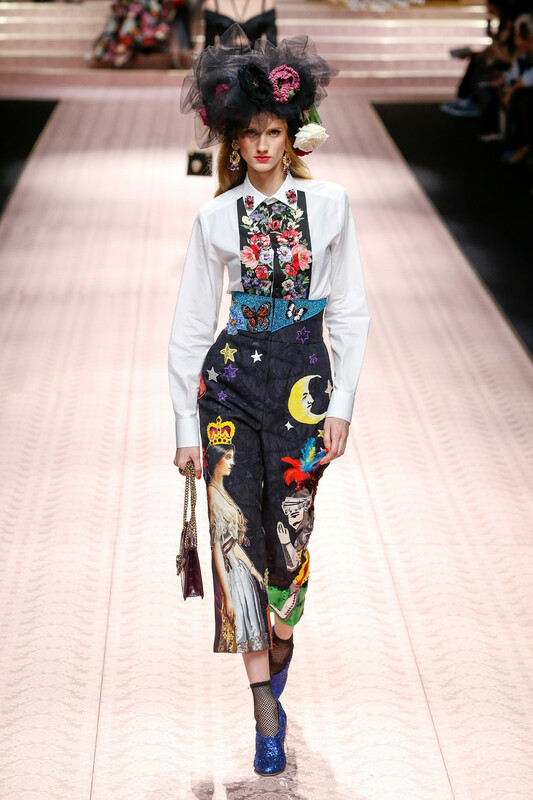 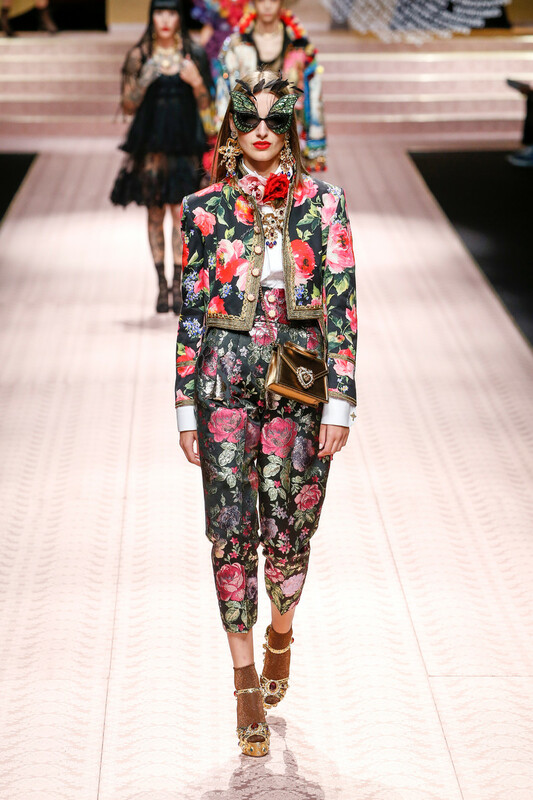 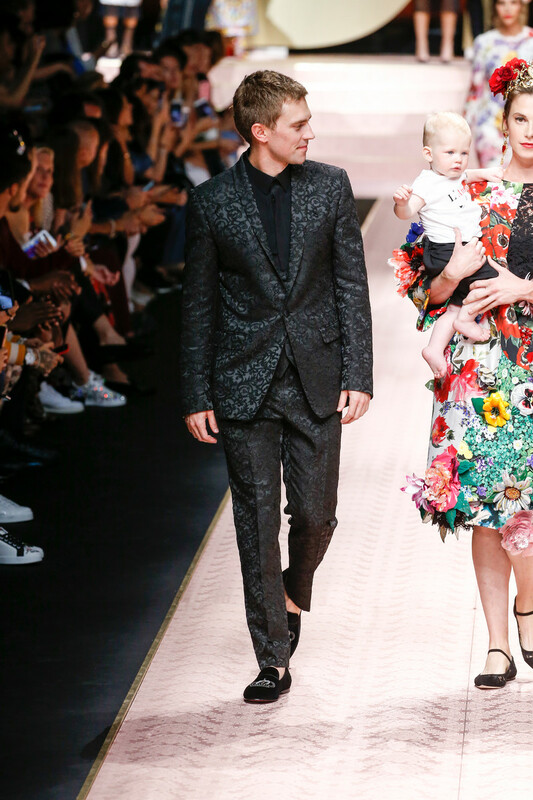 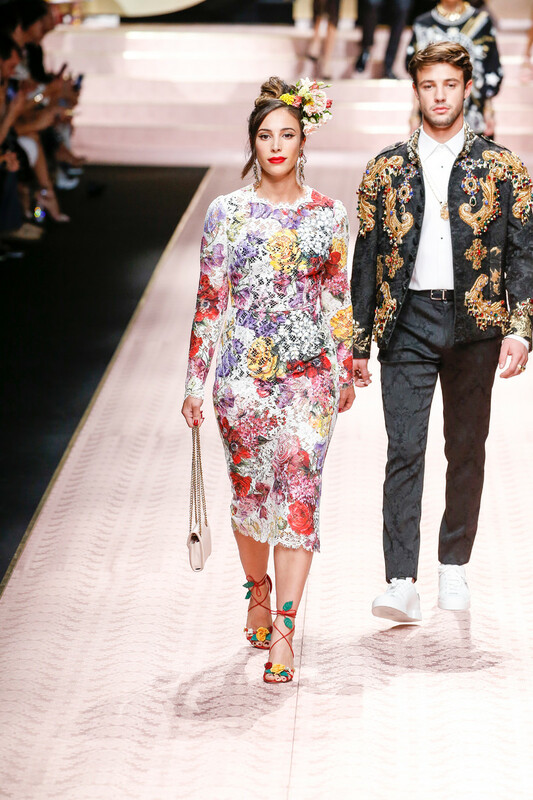 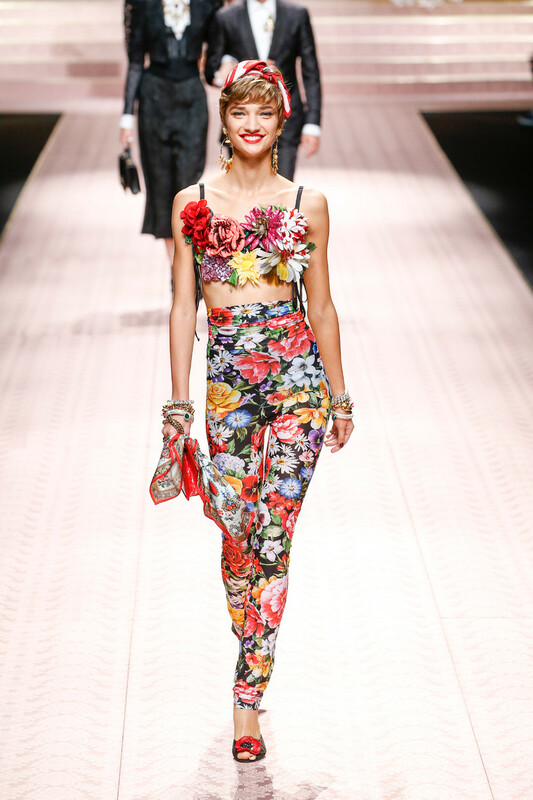 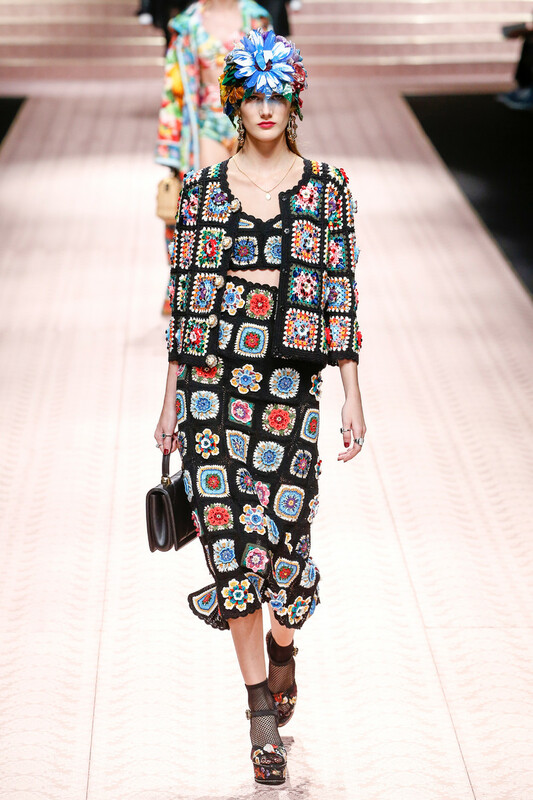 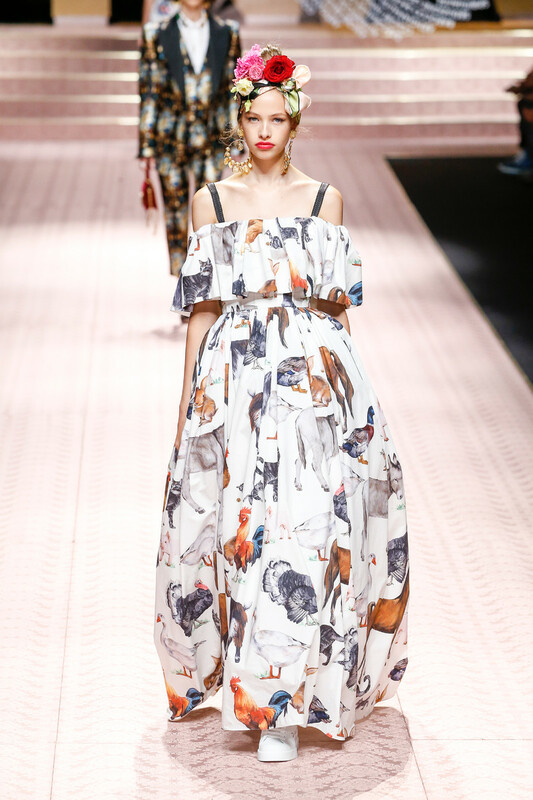 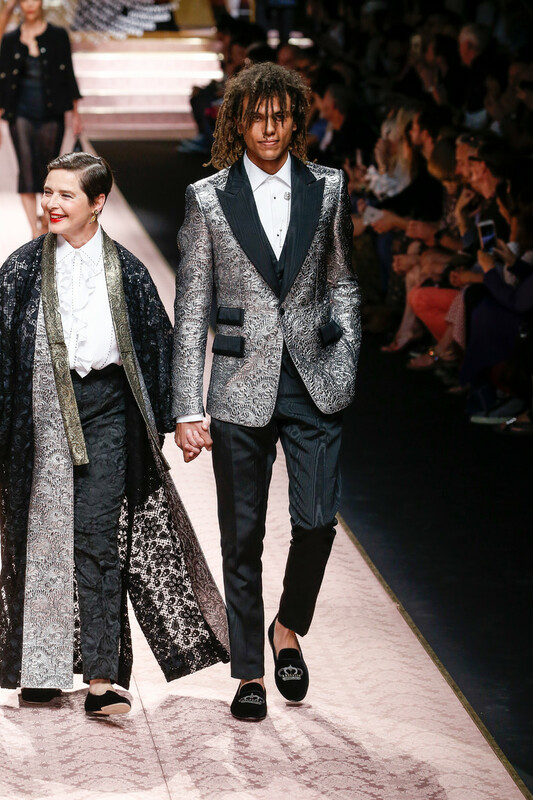 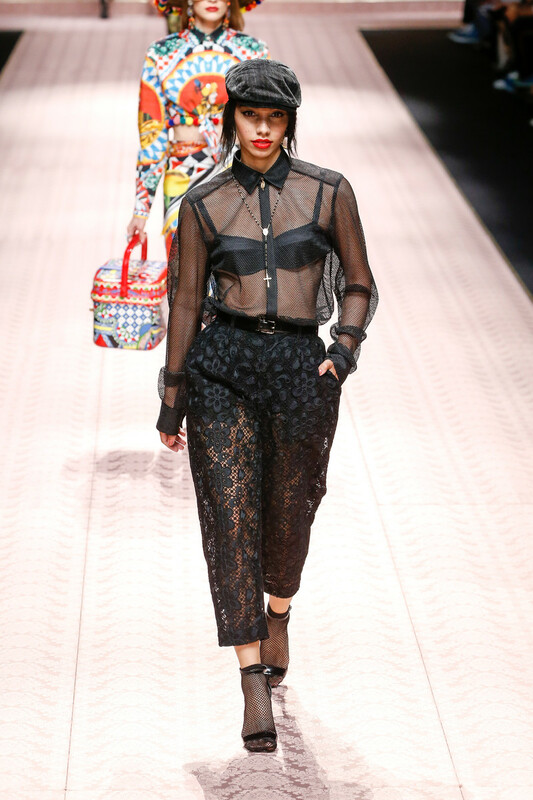 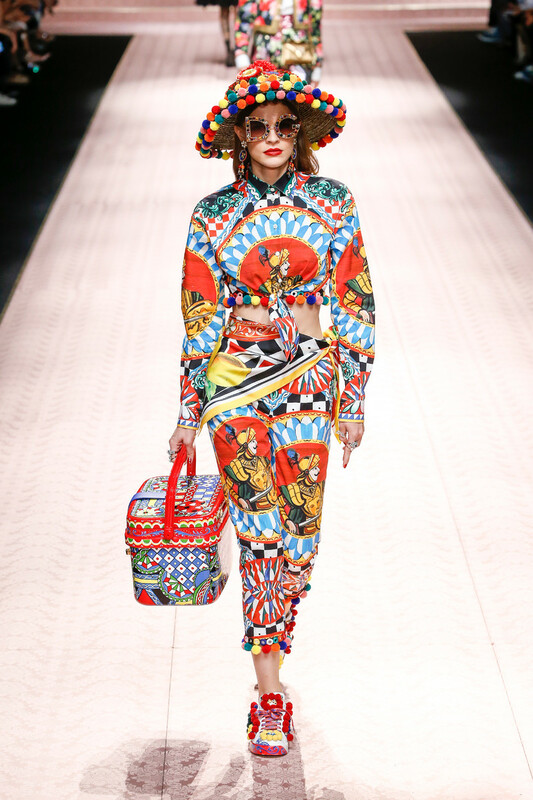 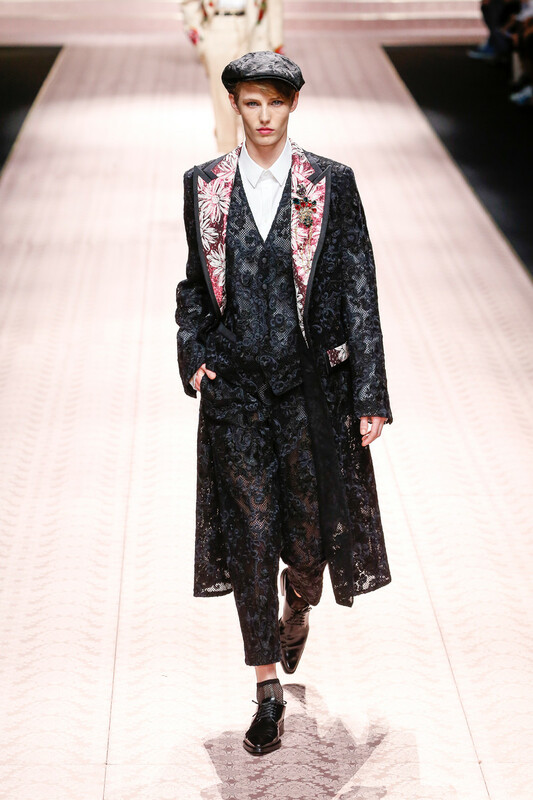 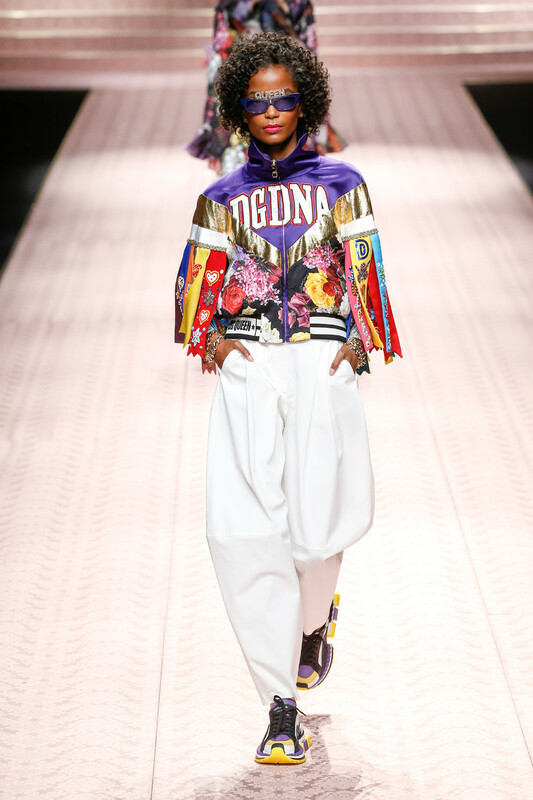 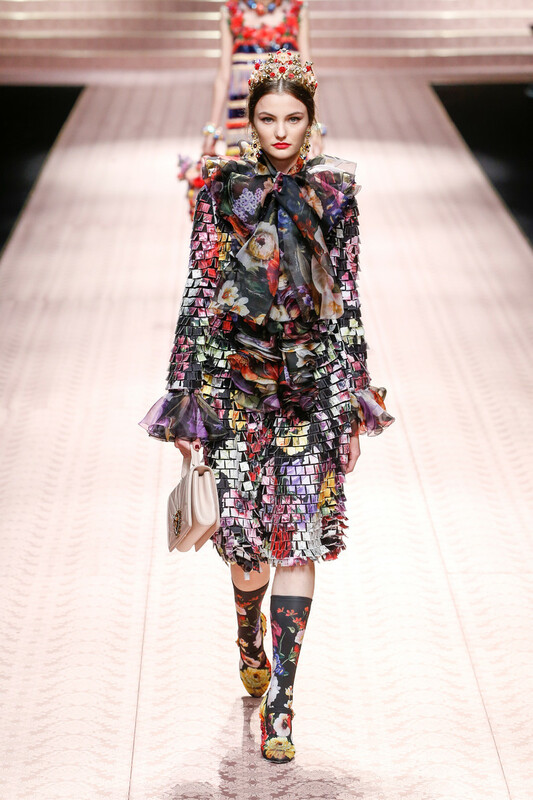 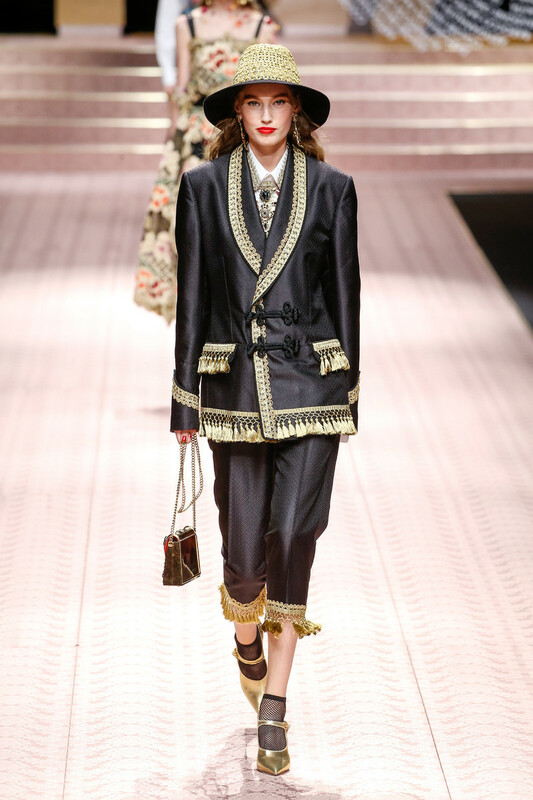 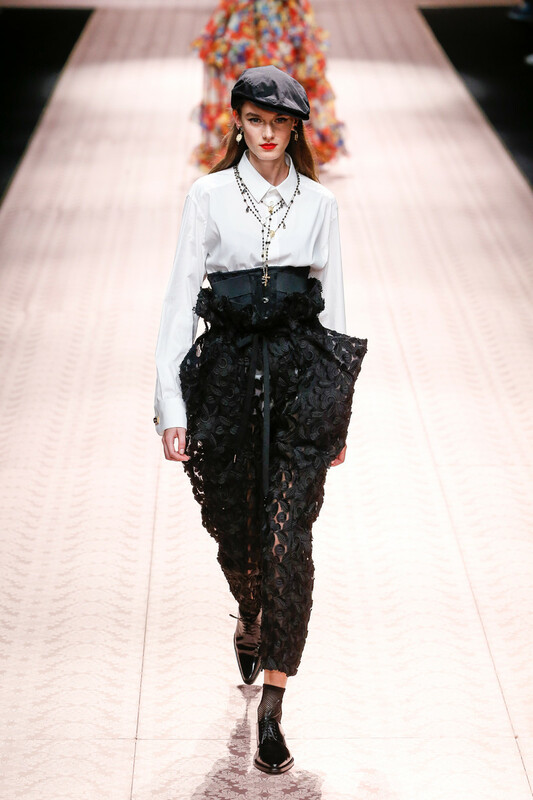 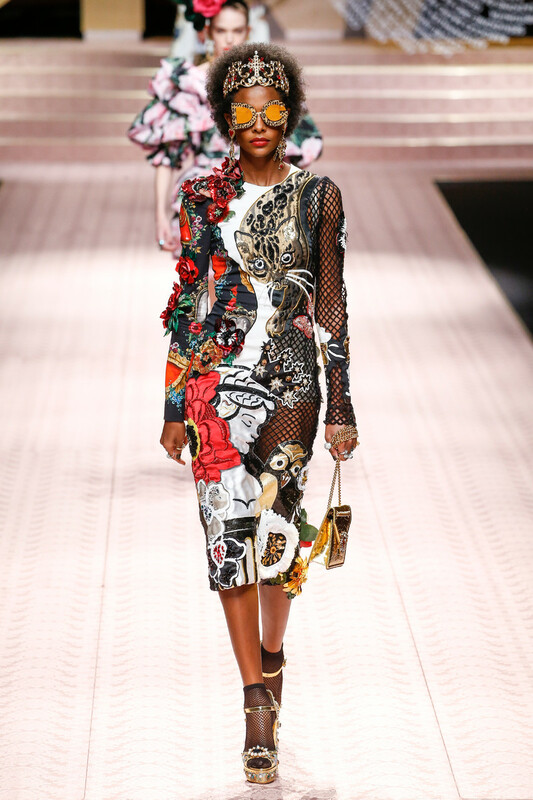 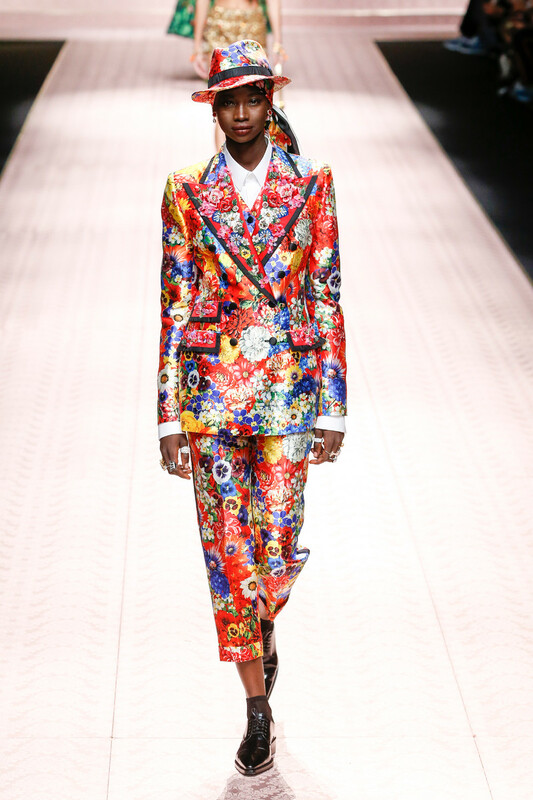 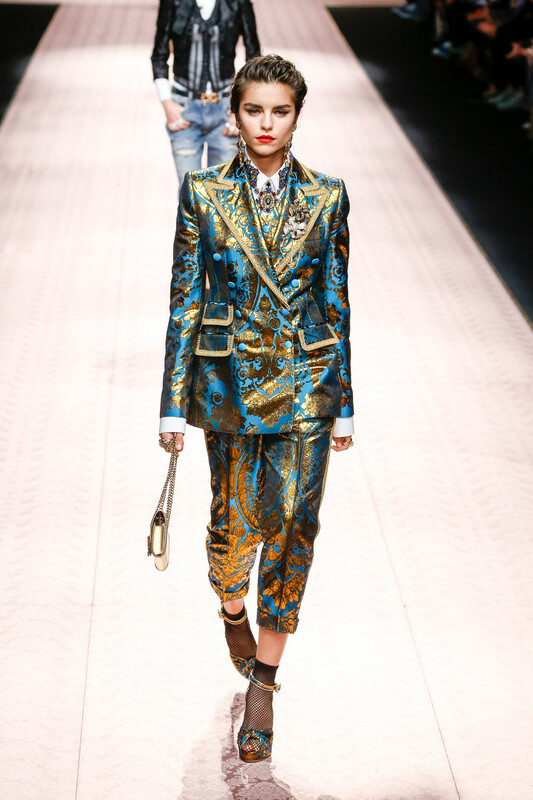 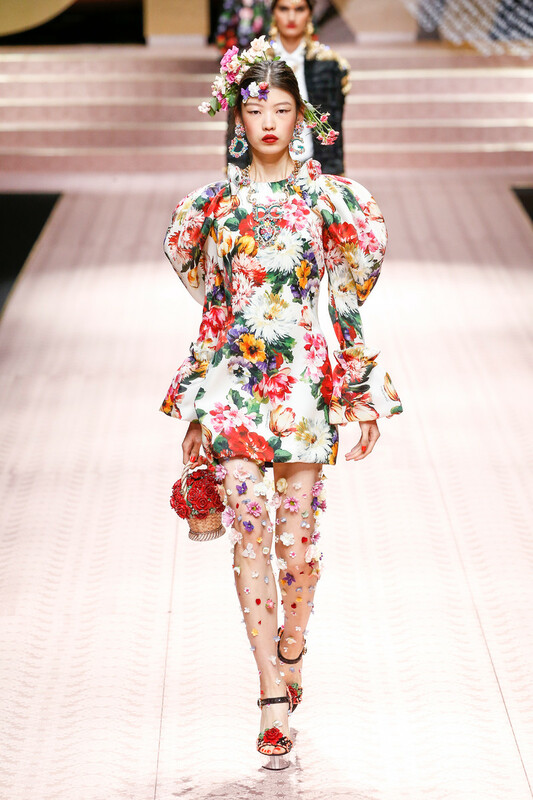 The Dolce & Gabbana show on Sunday was about OK-ness. 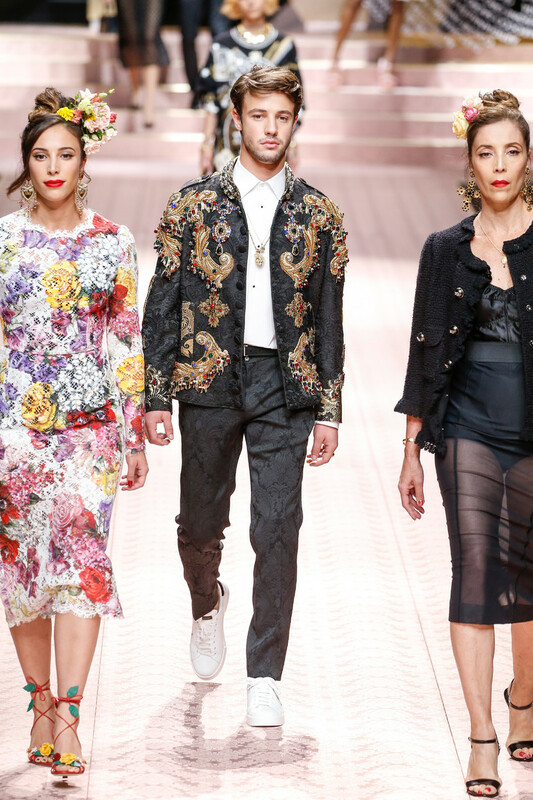 Which lead to the most diverse Dolce & Gabbana show to date. 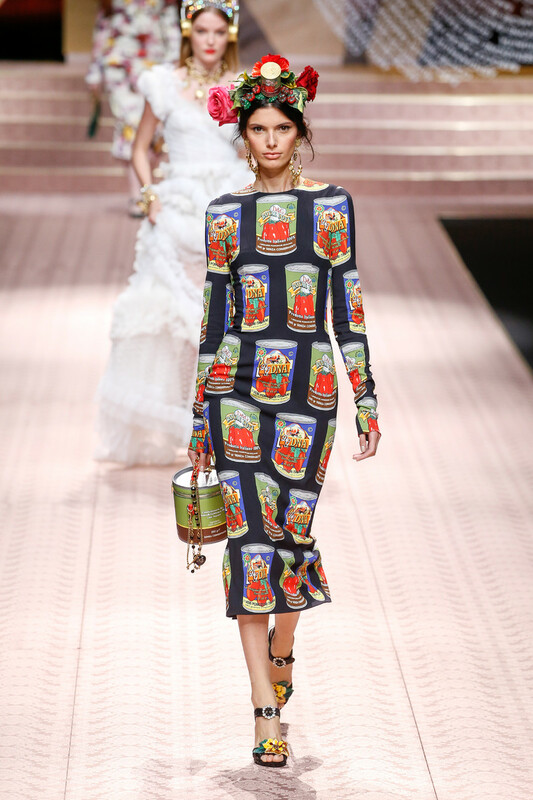 They casted catwalk icons like Helena Christensen, Eva Herzigova and Marpessa. 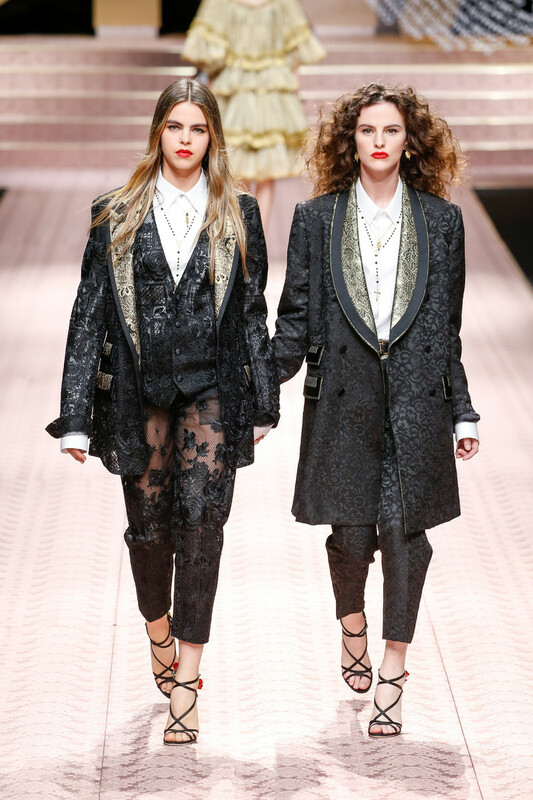 Monica Bellucci and Carla Bruni walked the runway. 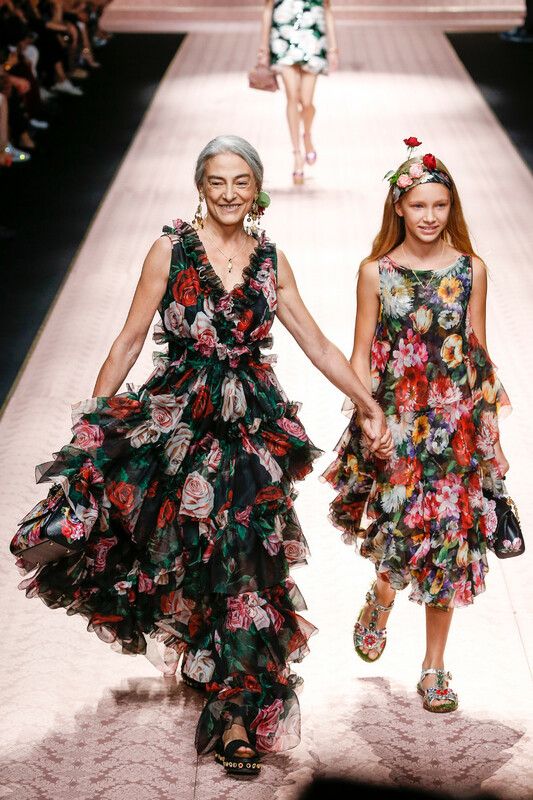 The designers did quite some street casting too hiring people from all ages, gender, sizes, skin tone and sexual preferences (lesbian girls walking hand in hand, grandmothers and grand daughters side by side). 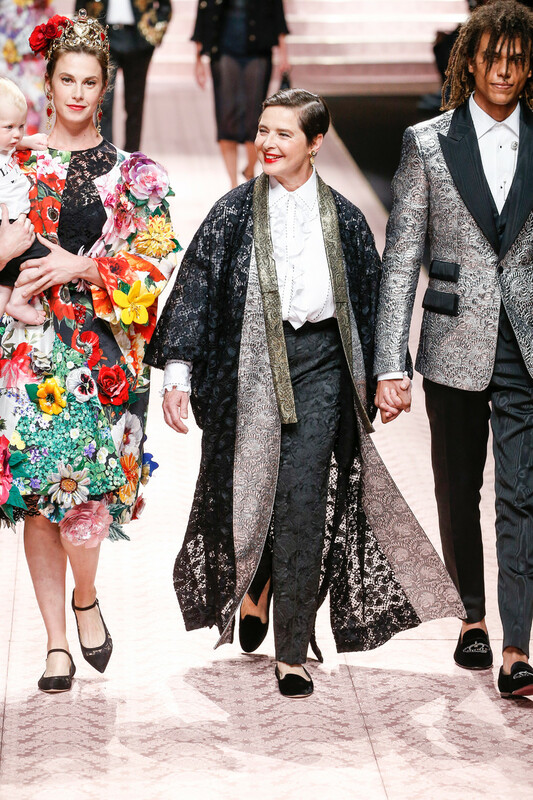 They were all smiling and very much in a celebratory mood. 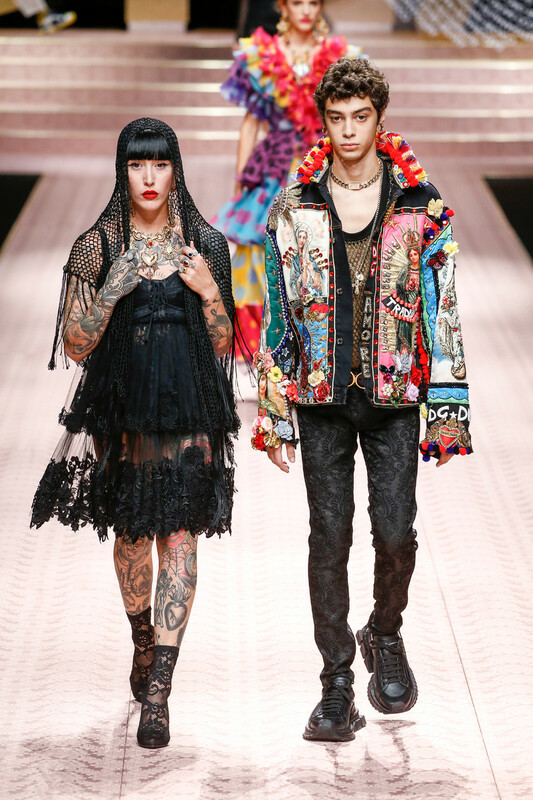 And who wouldn’t start smiling by the looks of these people in these clothes? 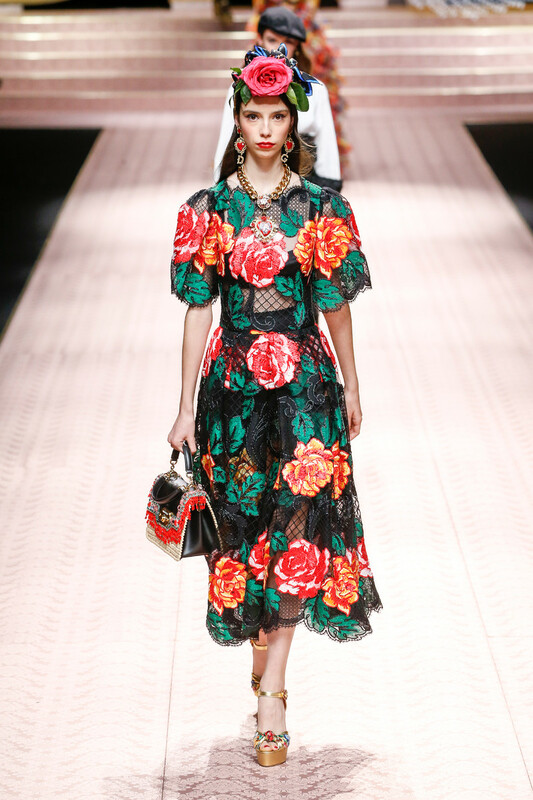 Fashion wise it was a true Dolce & Gabbana collection. 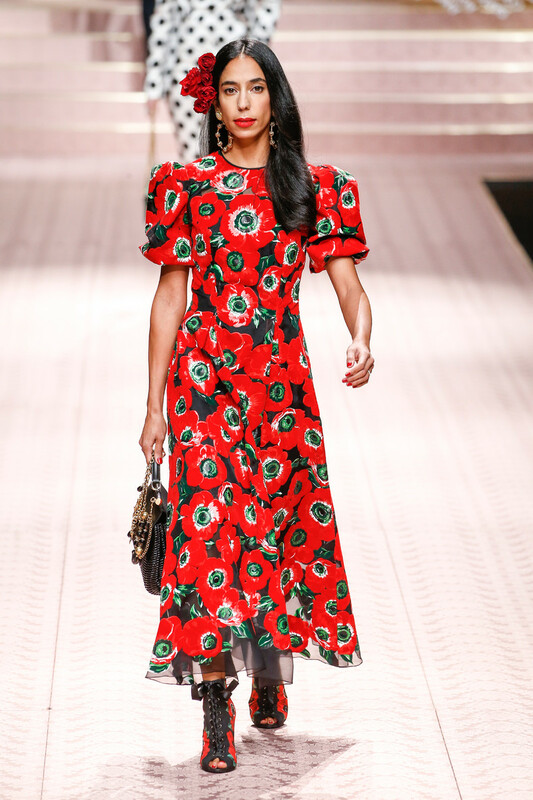 With jacquard suits, printed (we spotted one farm animal printed dress, lots of floral prints and cathalic references too) maxi dresses and tight little black lace dresses. 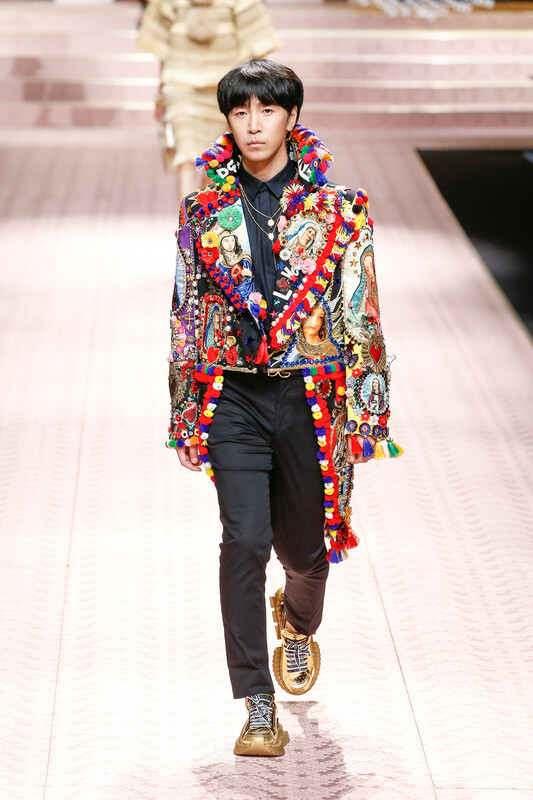 It was as over the top as always with lots of volume, lots of accessories and a lottt of looks (total of 153). 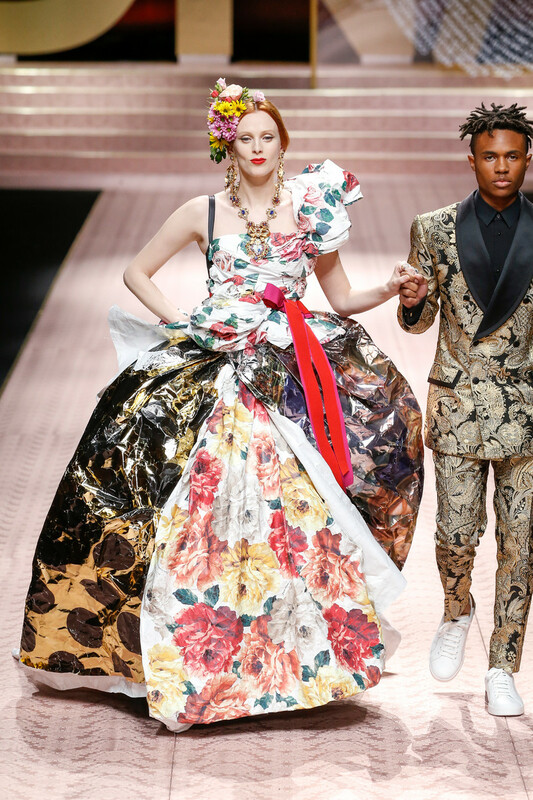 It wasn’t so much a show about new styles or trends. 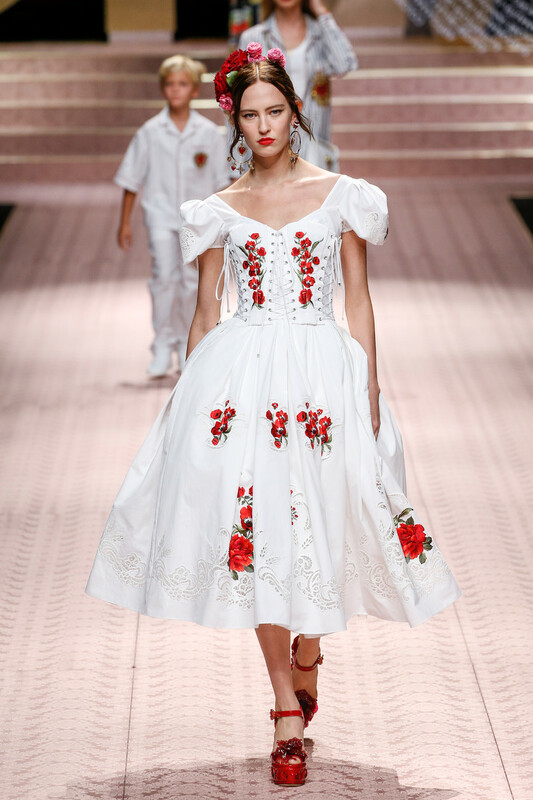 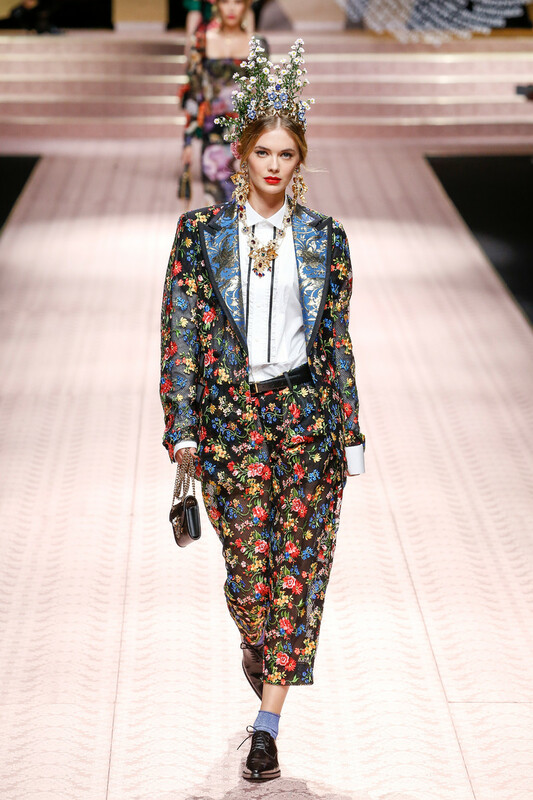 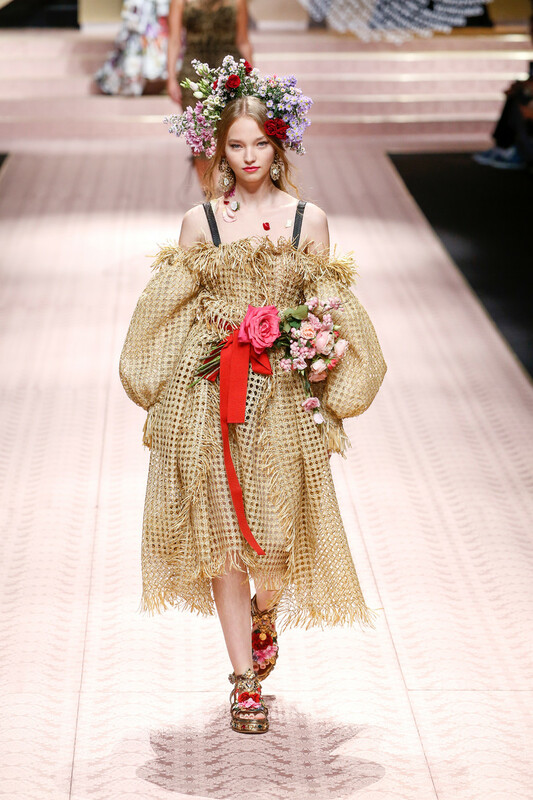 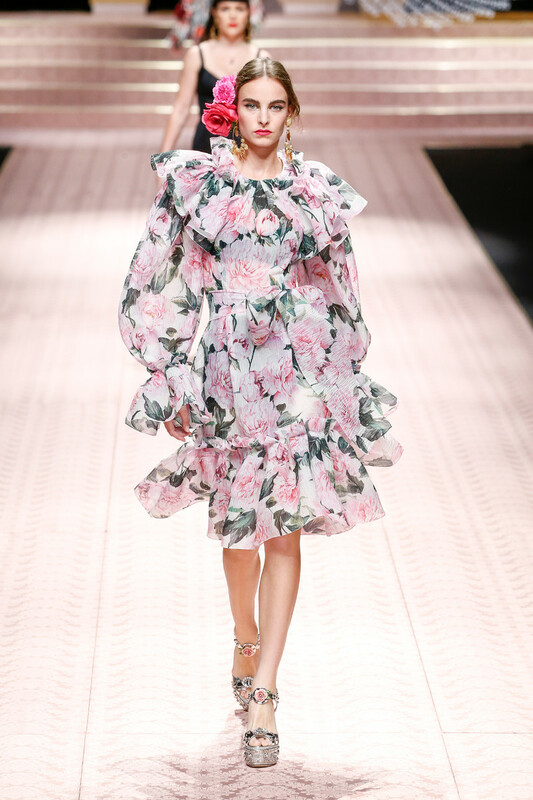 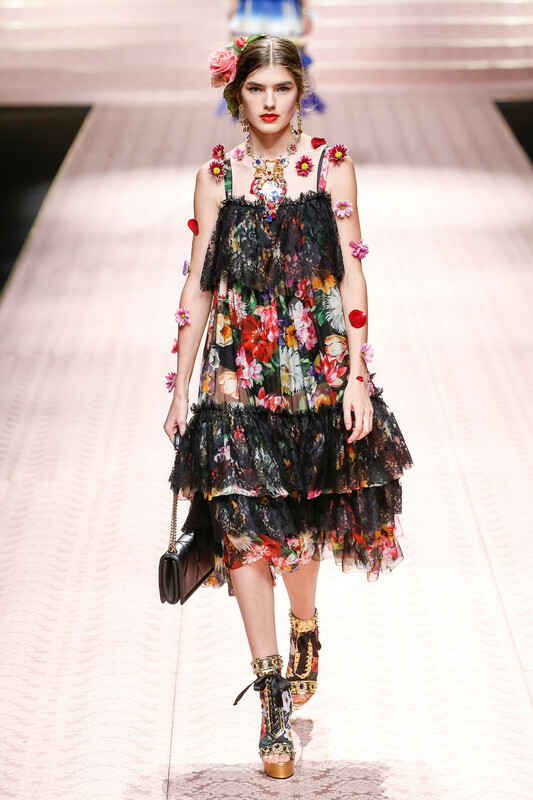 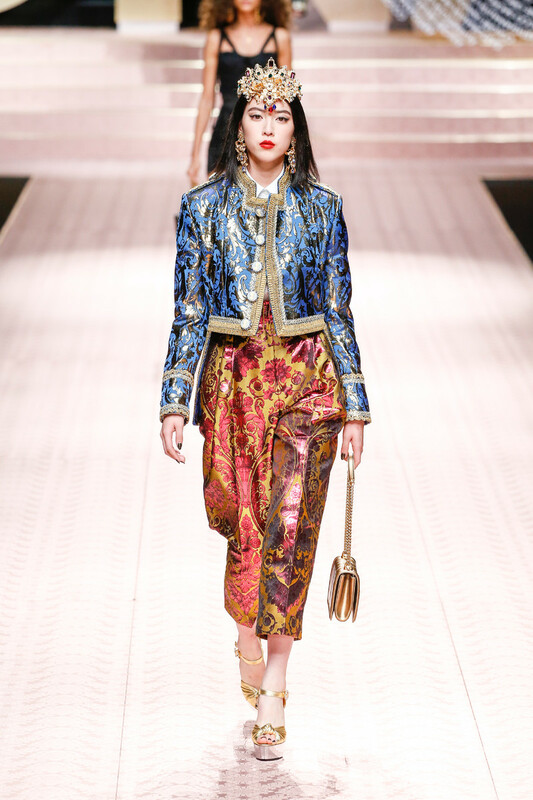 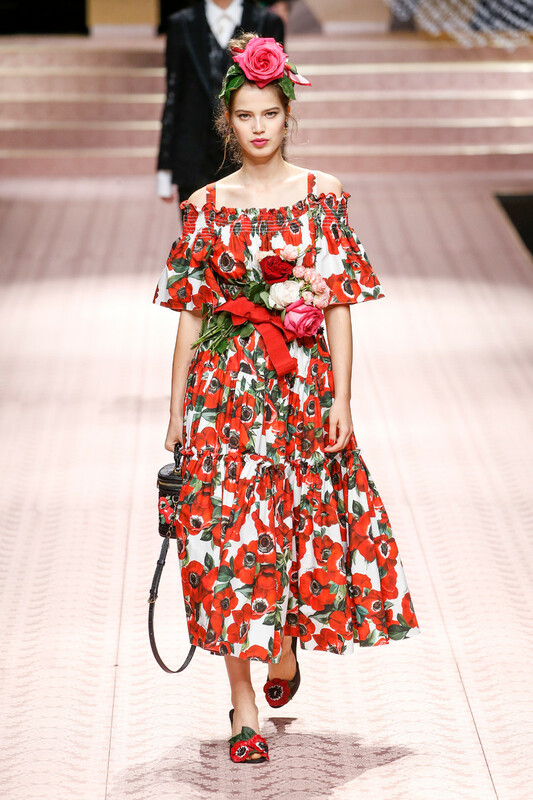 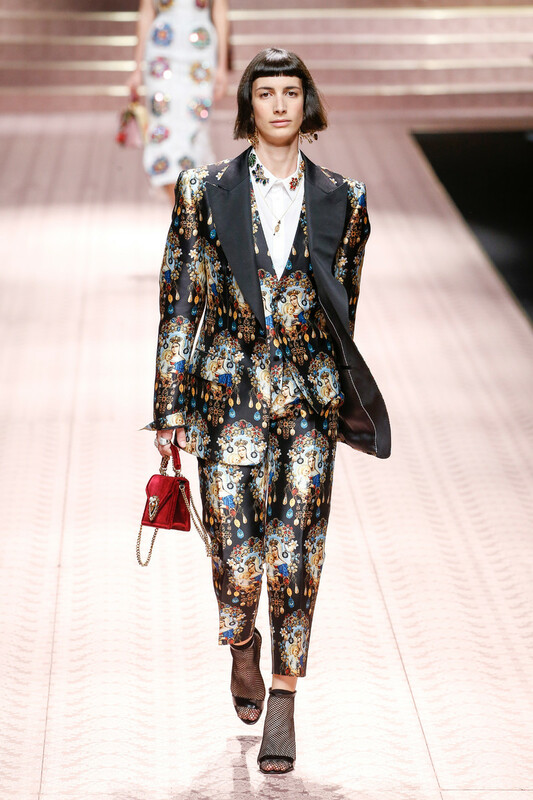 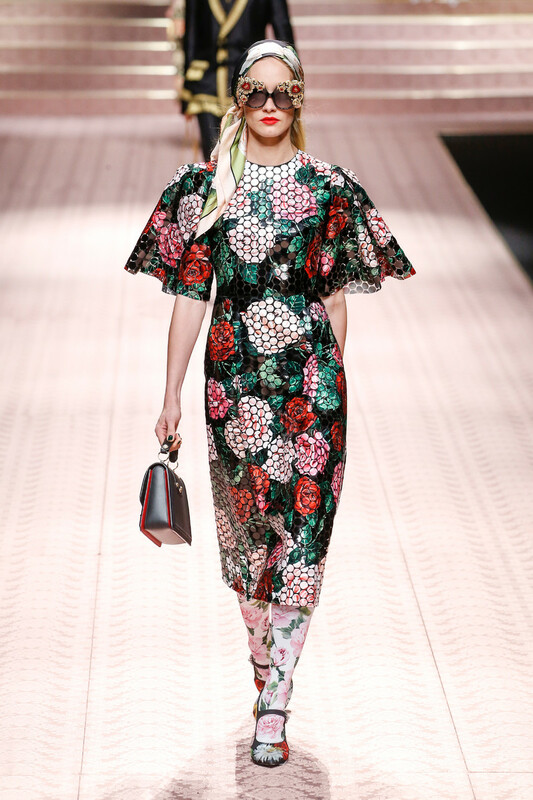 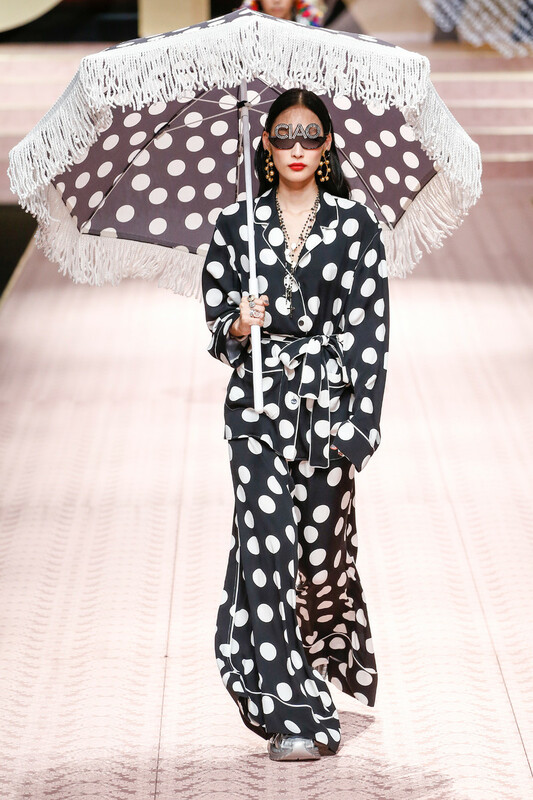 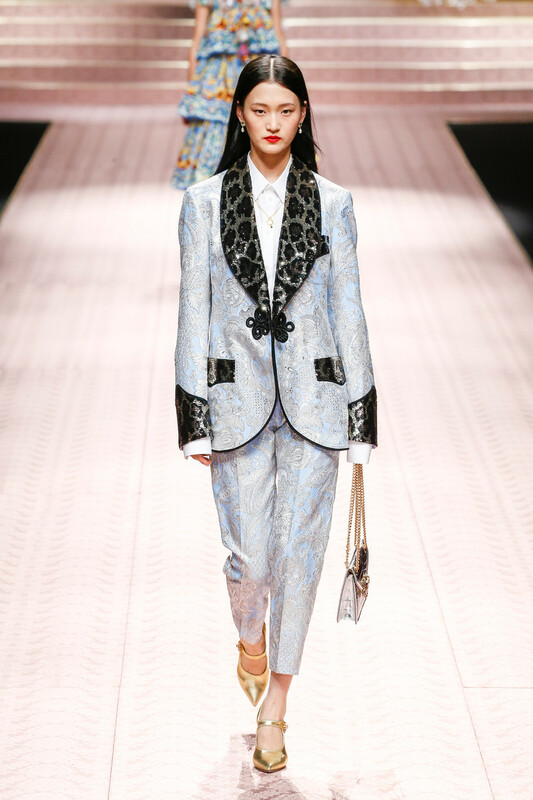 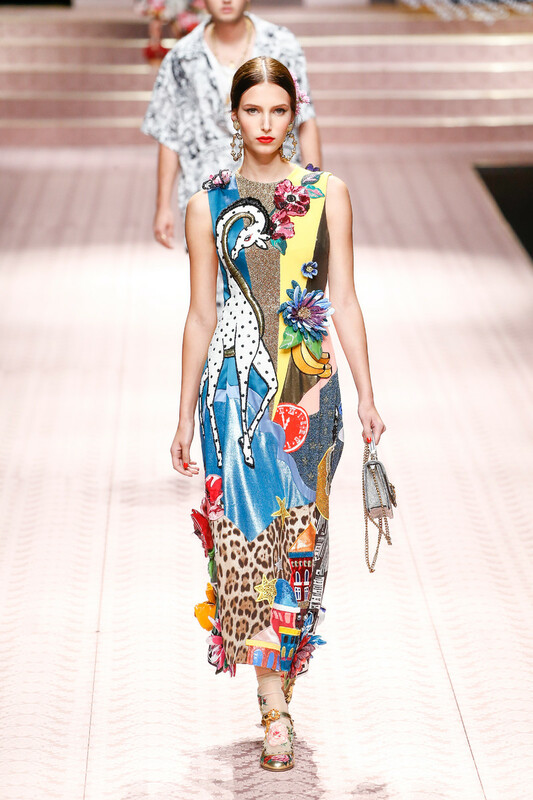 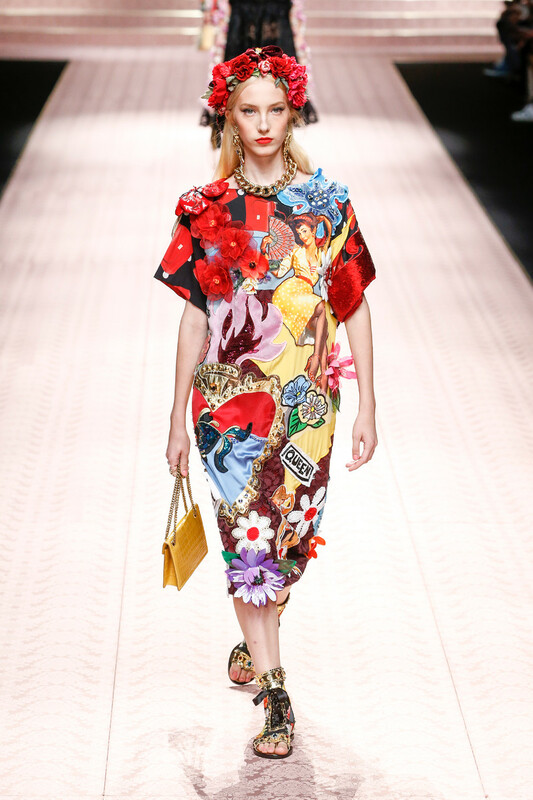 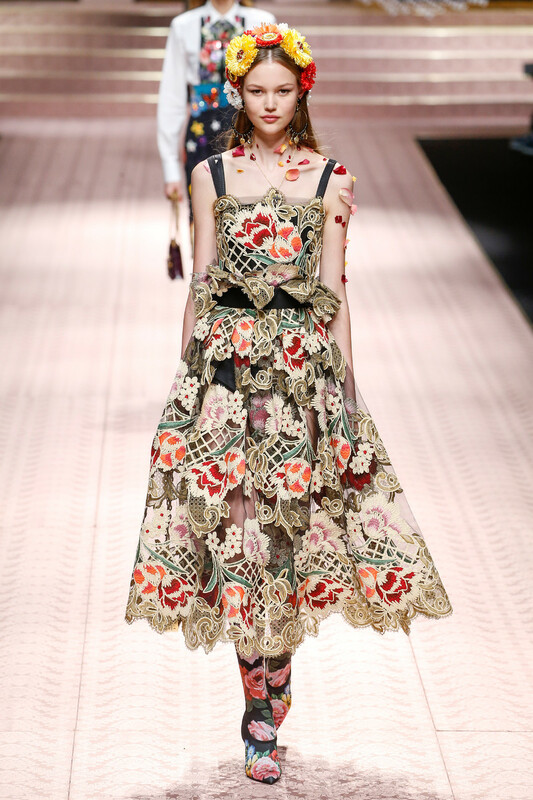 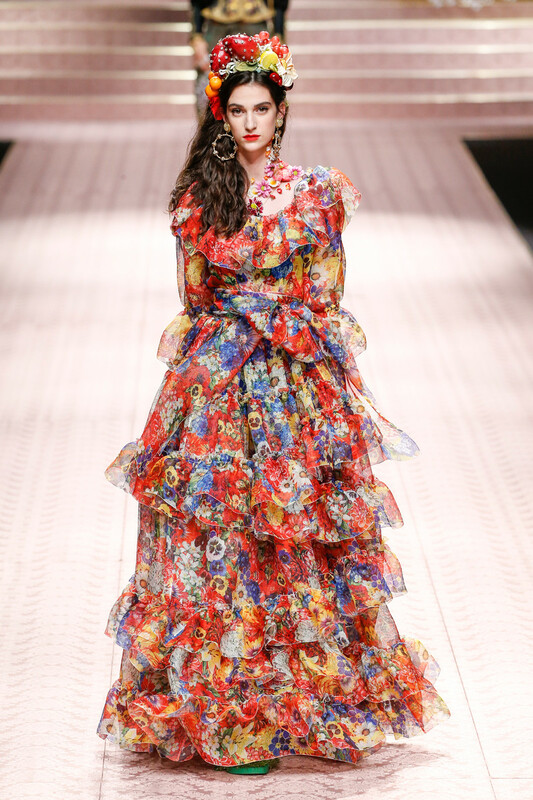 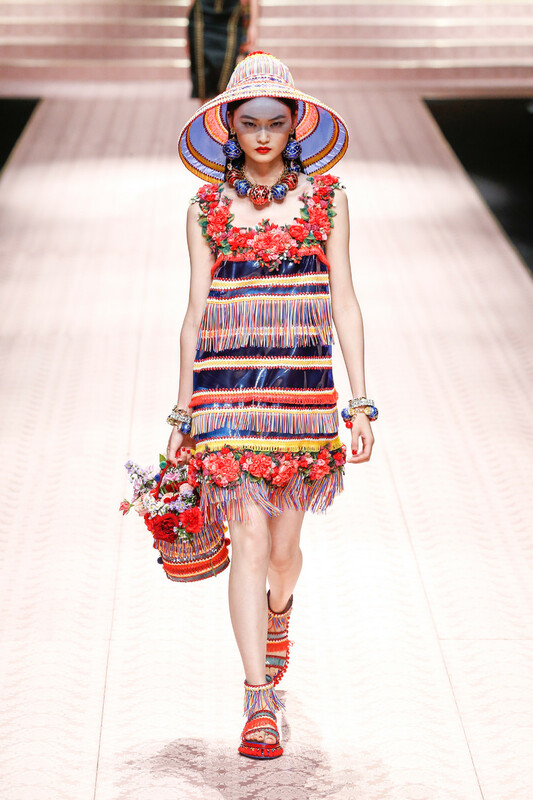 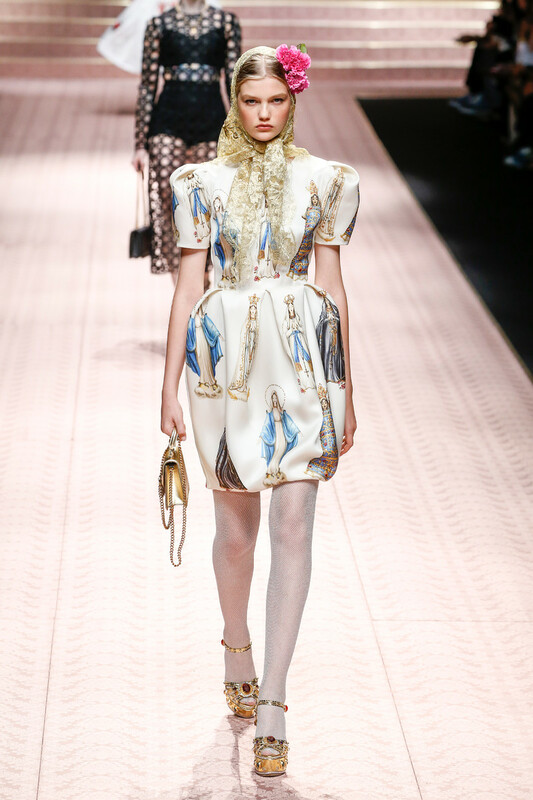 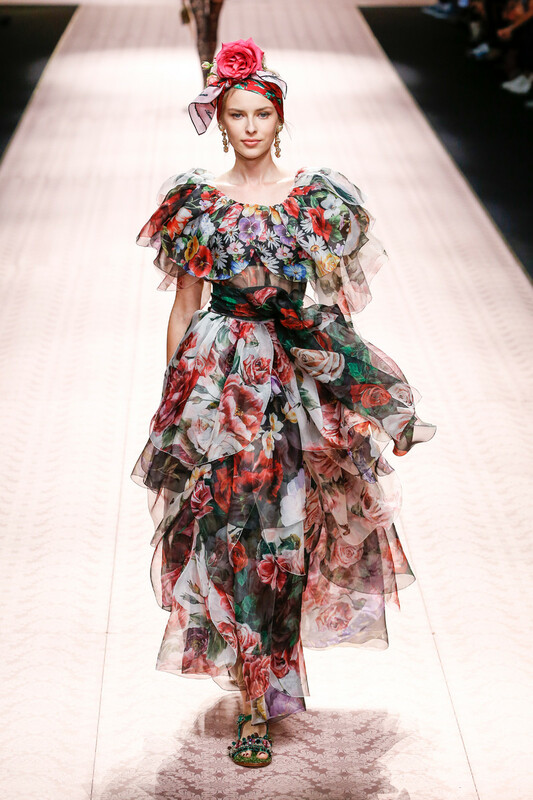 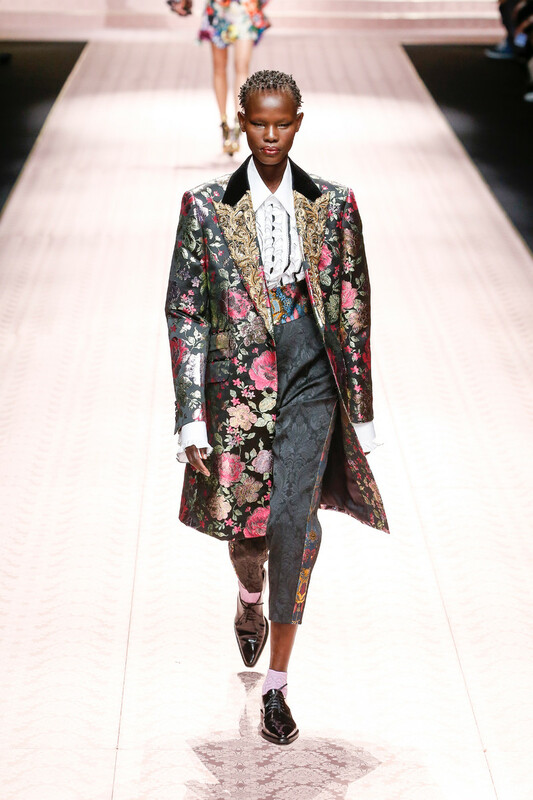 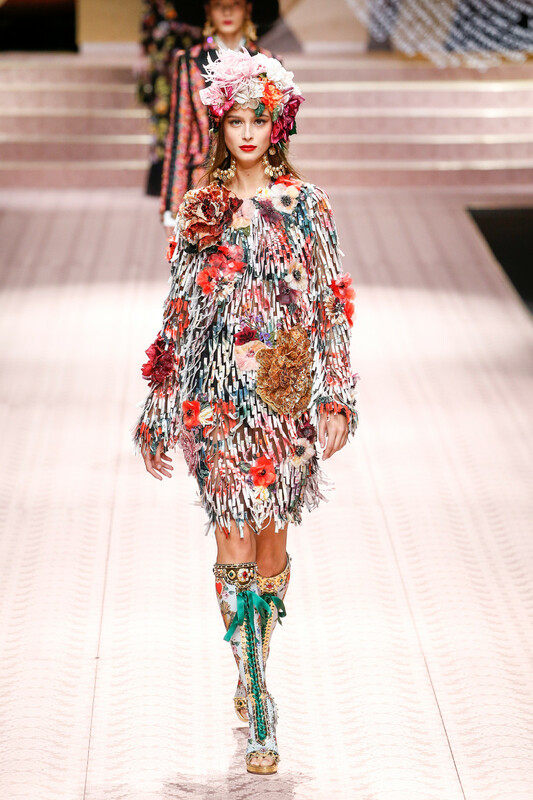 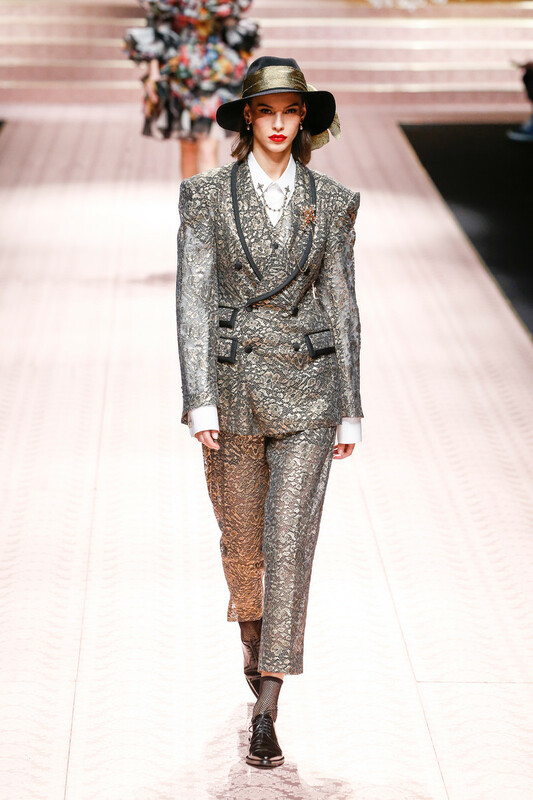 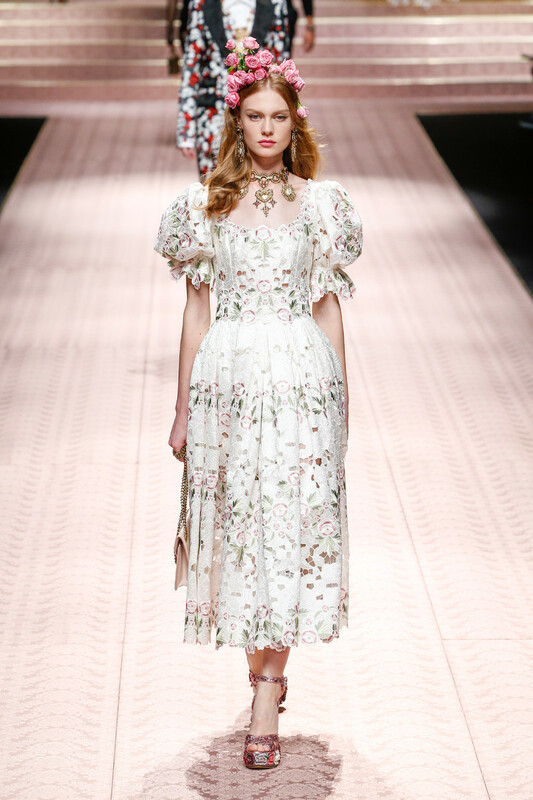 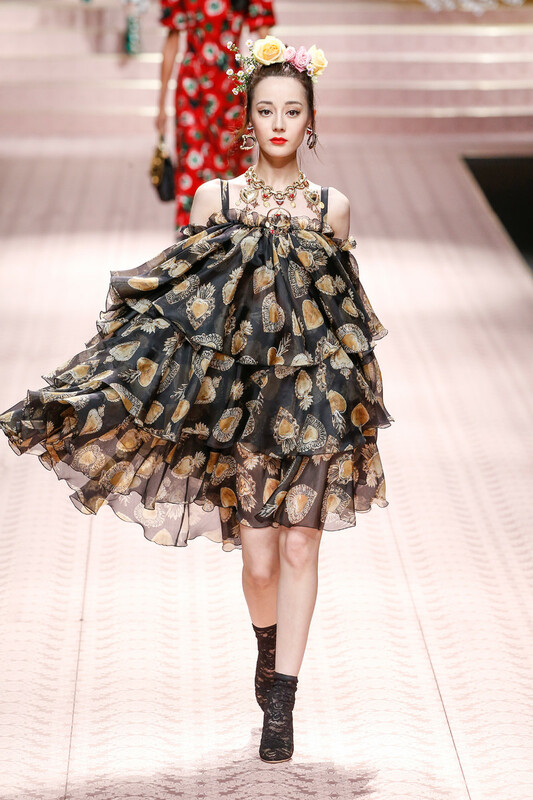 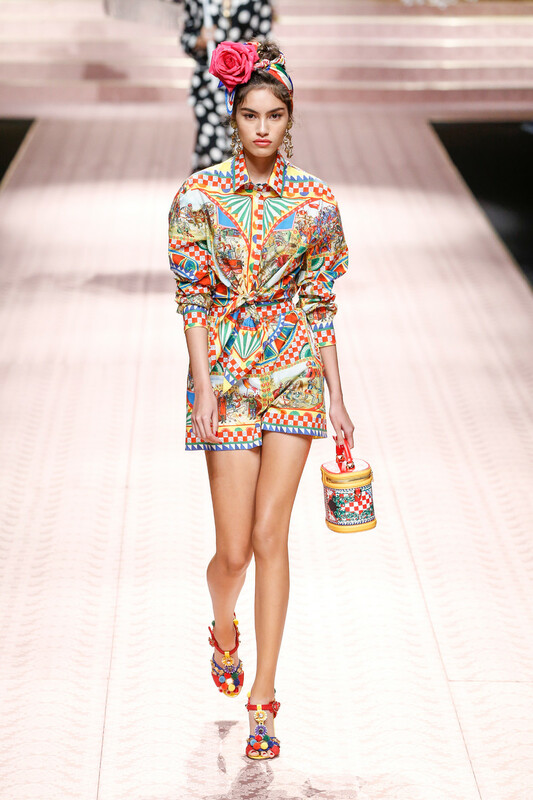 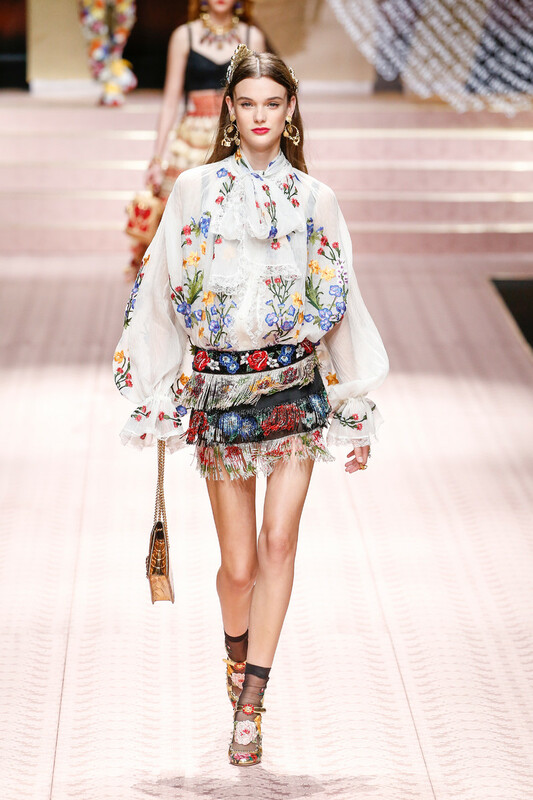 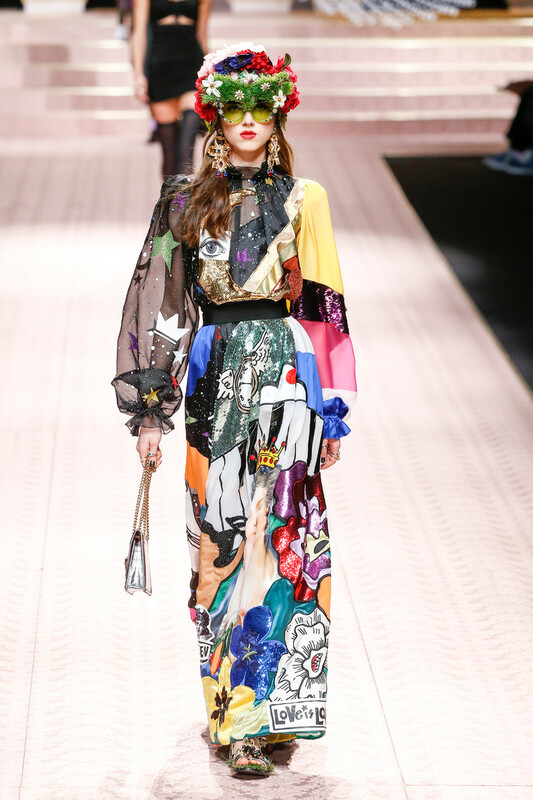 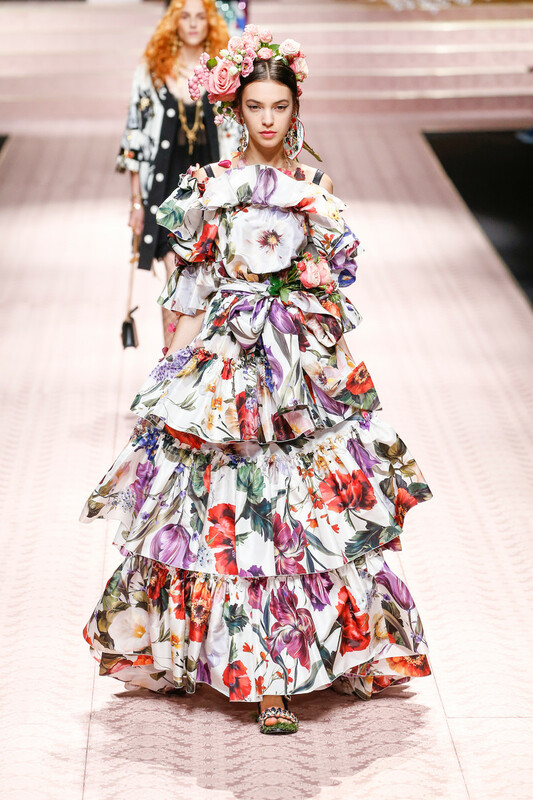 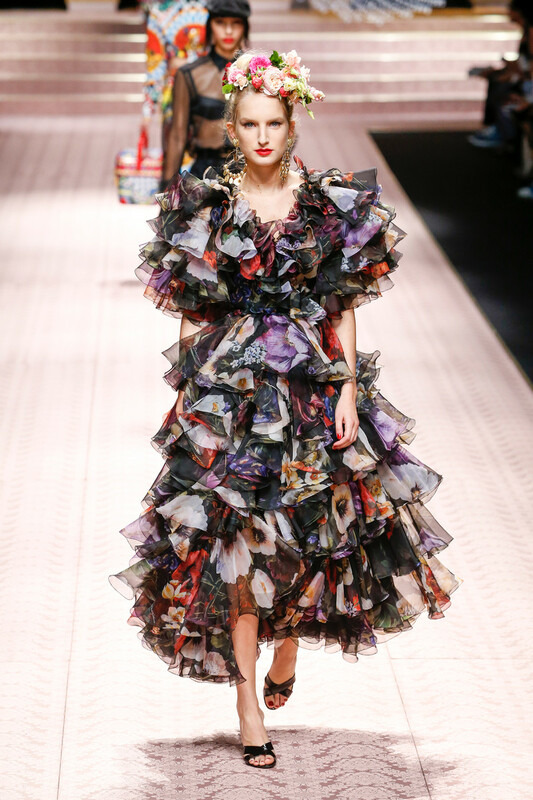 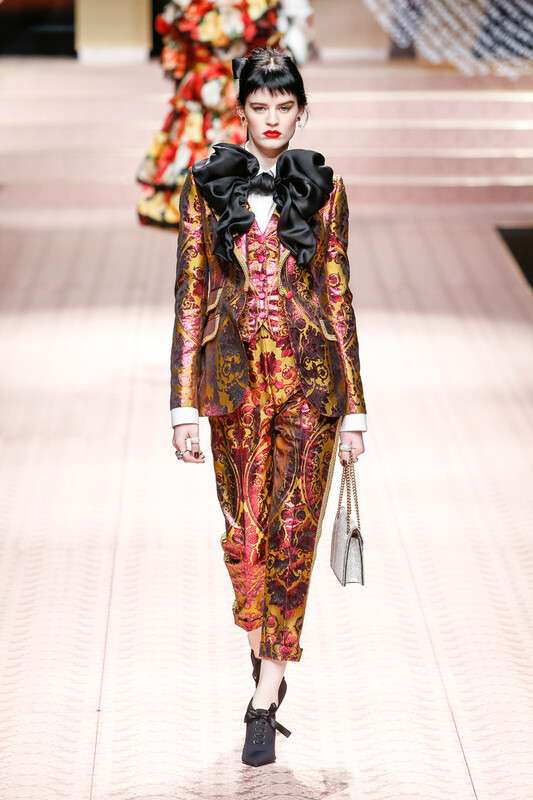 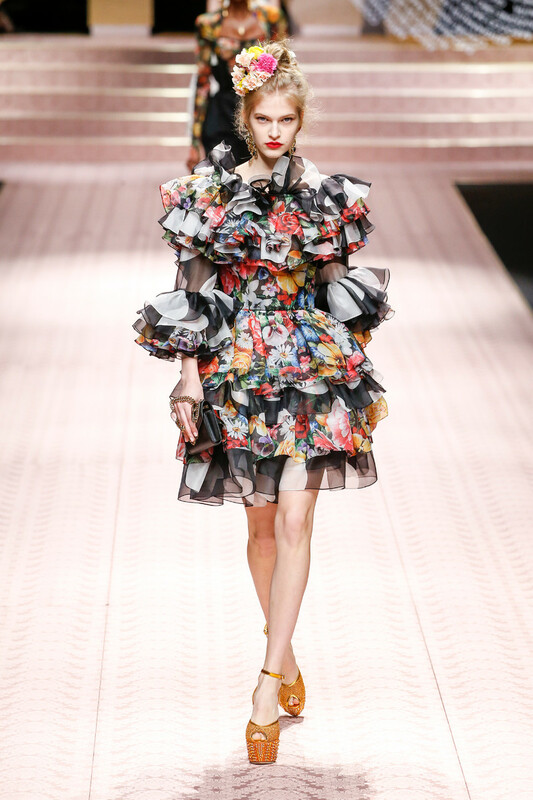 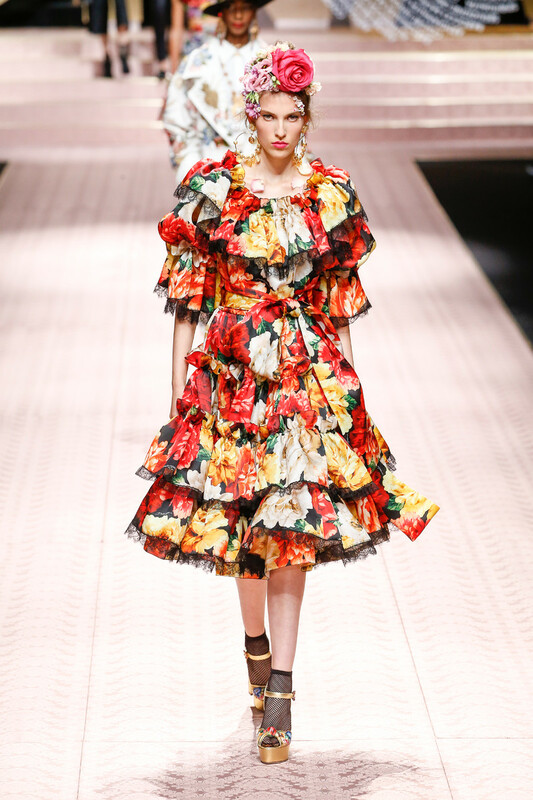 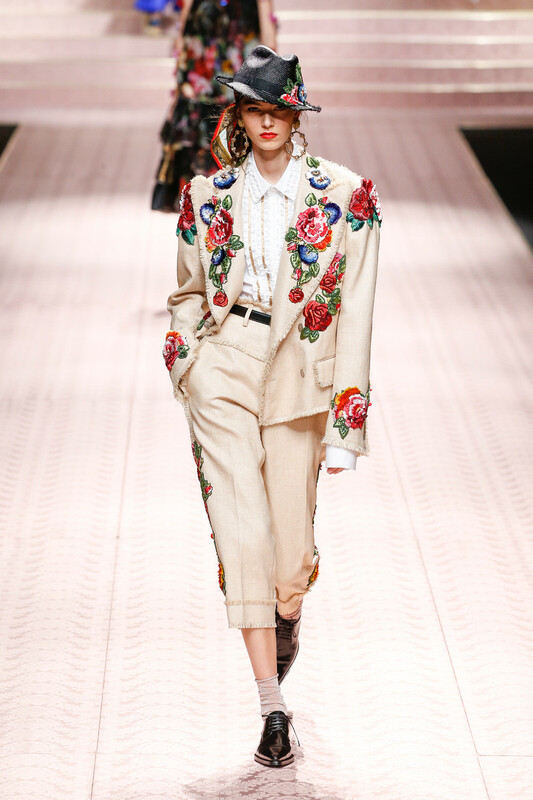 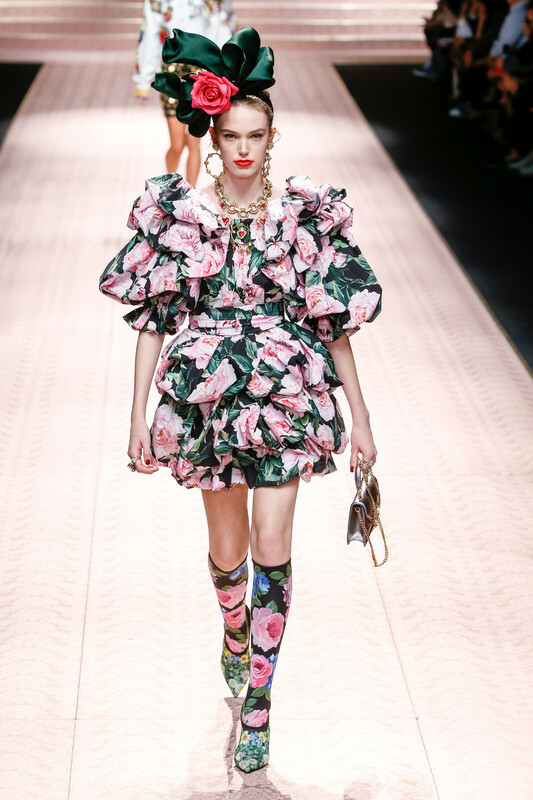 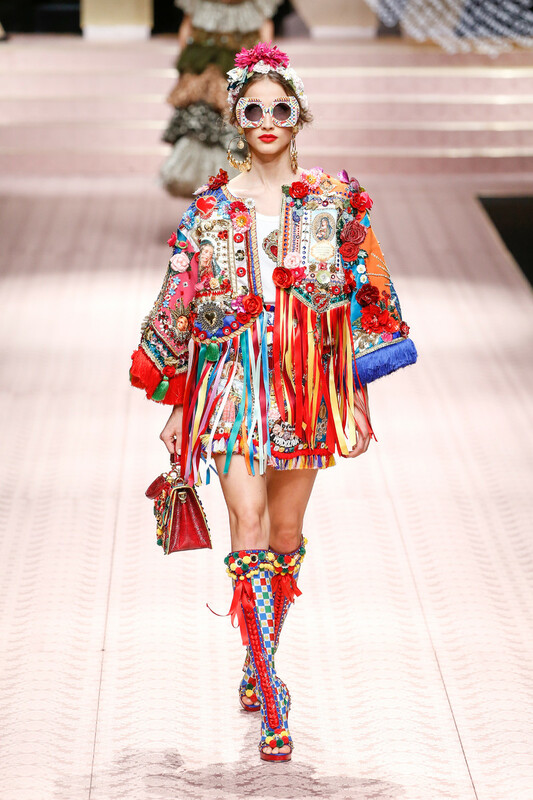 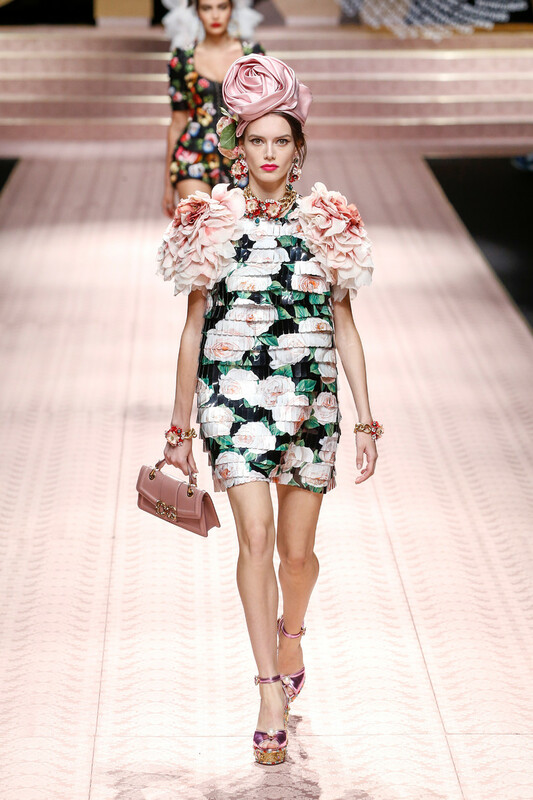 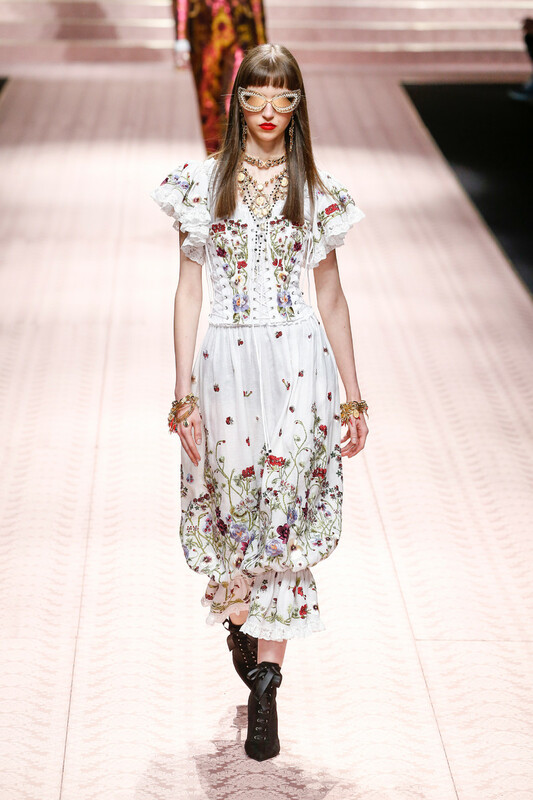 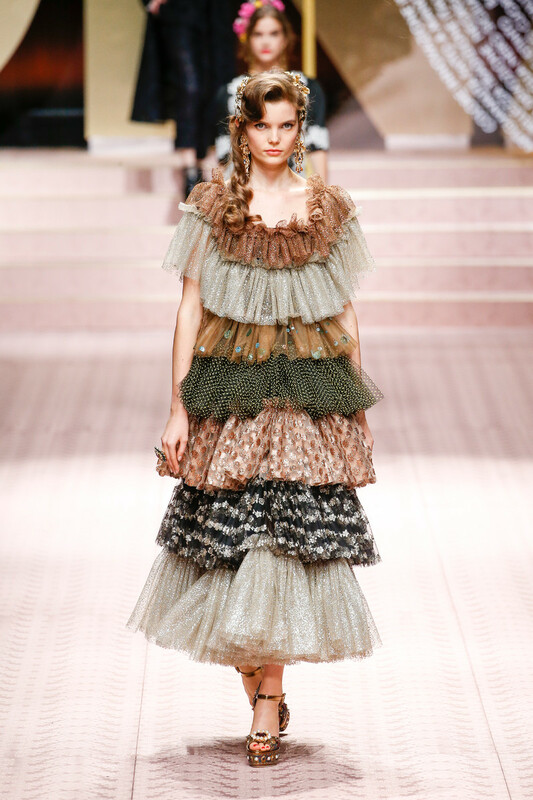 The Dolce & Gabbana shows have been portraying more or less the same style variantions for seasons now. 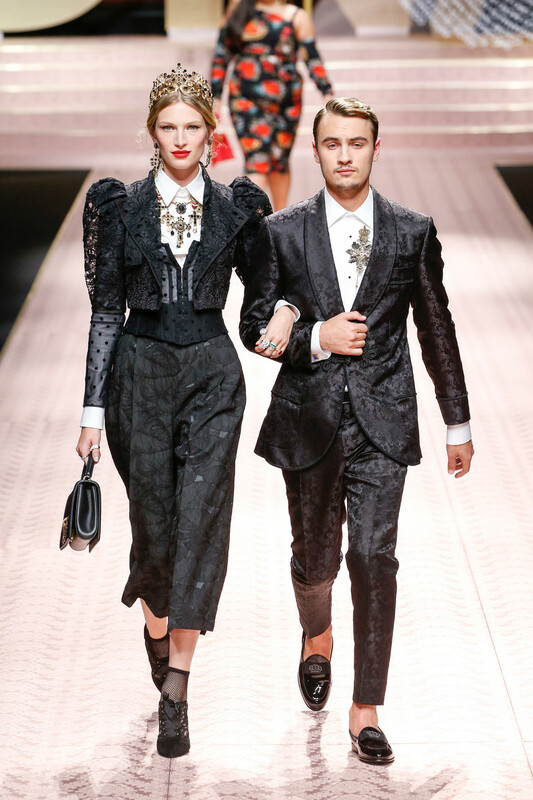 Domenico and Stefano wanted to deliver there message of love. 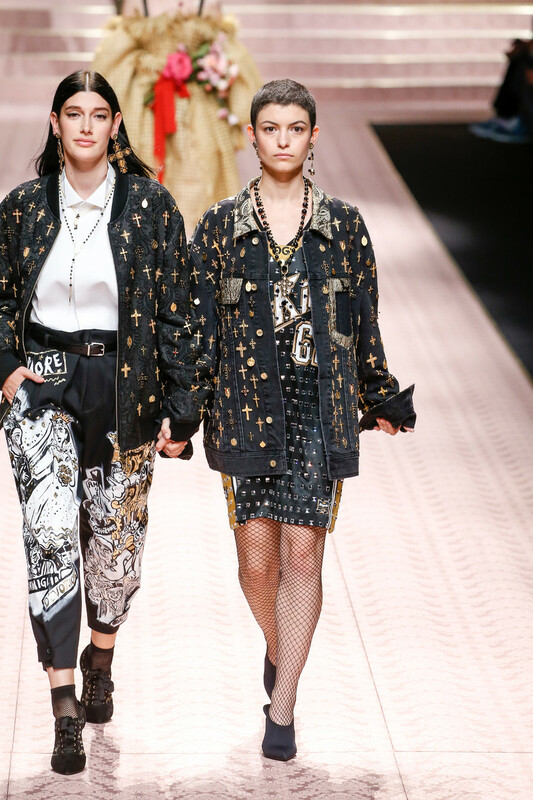 They wanted to show everyone matters and – more importantly – everyone can wear Dolce & Gabbana and look like a star.